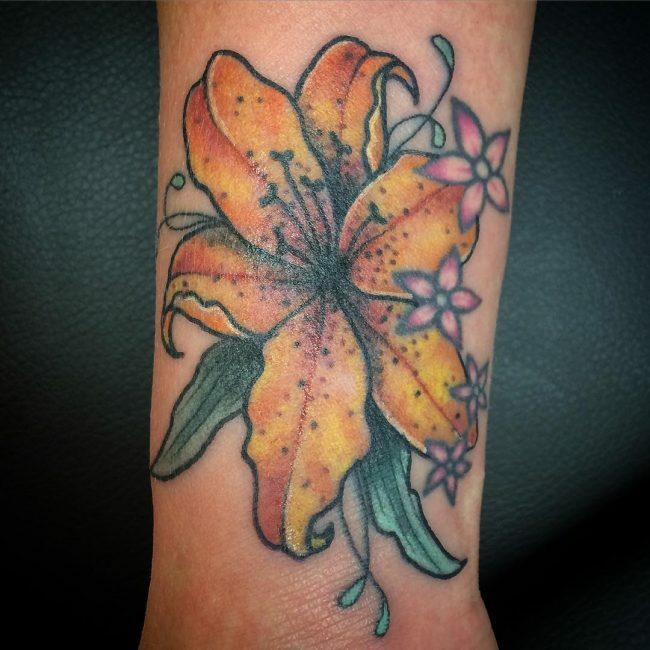 Lily tattoos are not exactly a design that you can consider as mainstream, but they are still very popular nonetheless. 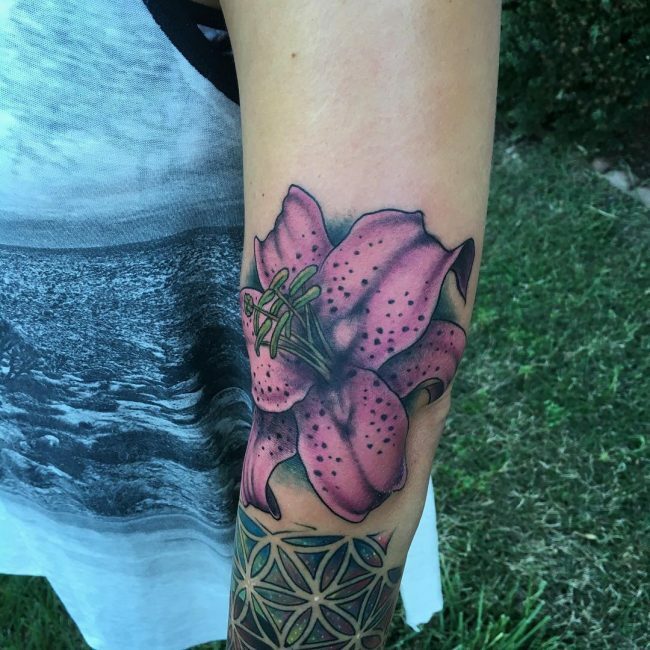 The Lilly is one of the most known species of flowers, much like the lotus, and that’s one of the reasons why it’s a common tattoo design. 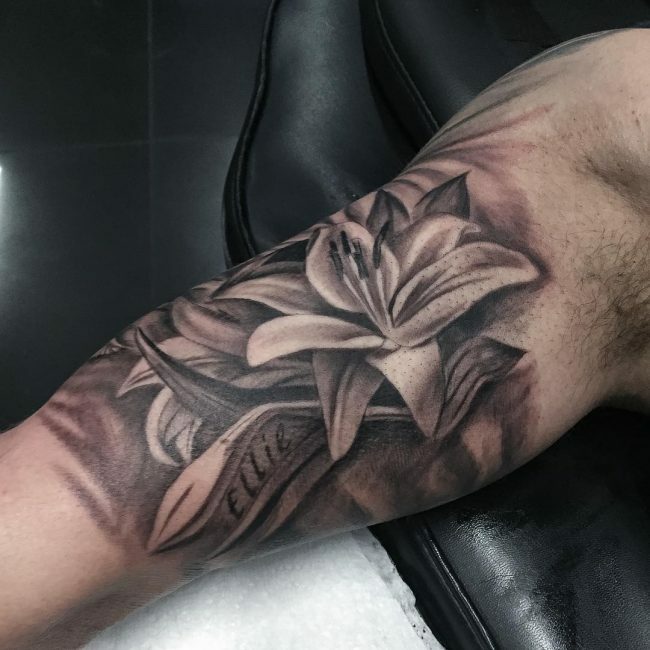 In this article, we are going to focus on the lily tattoo for men, its history, meaning and common techniques. 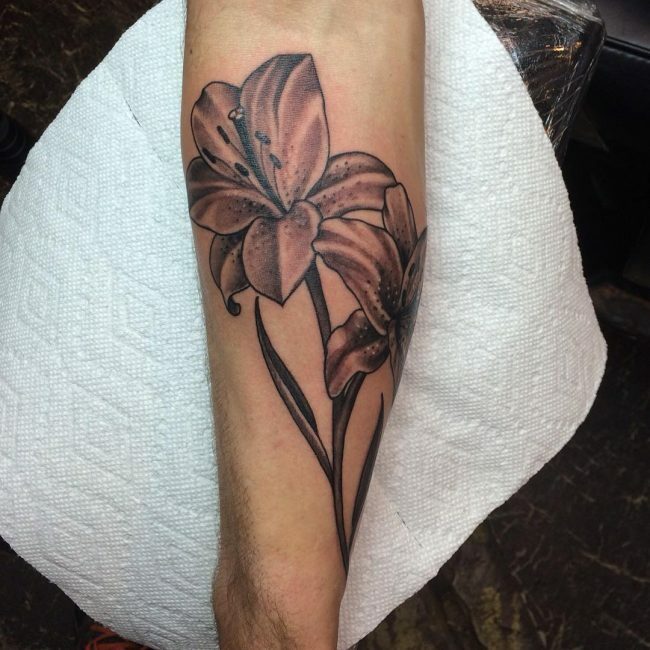 We will also cover Fleur-De-Lis design, which is the most common choice lily tattoo design for men. 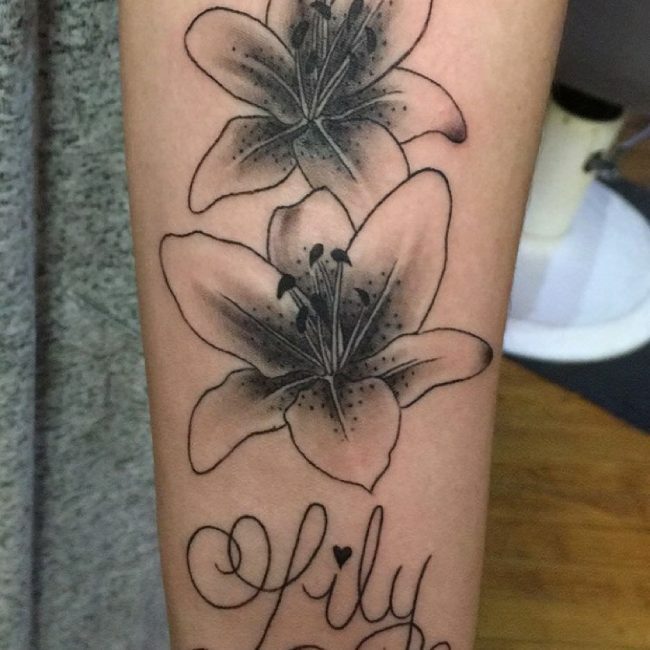 Lily is a flower that is portrayed in a lot of cultures. 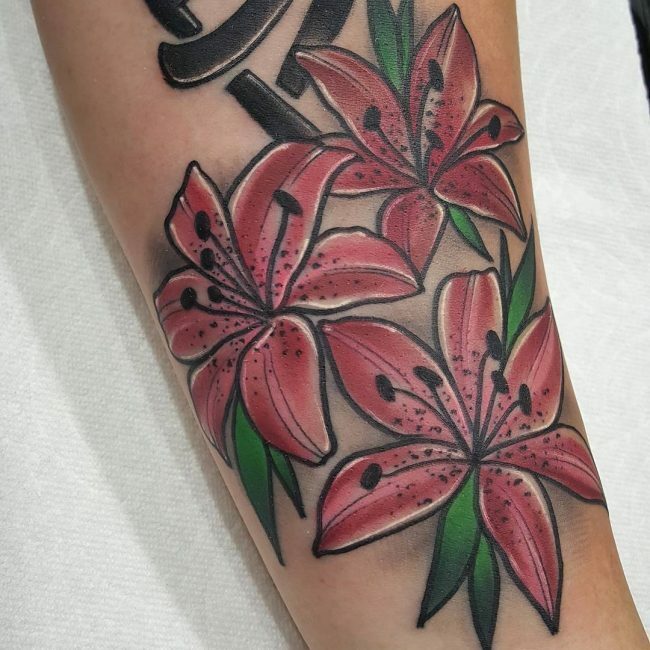 Hence, its meaning tends to vary for from one culture to another. 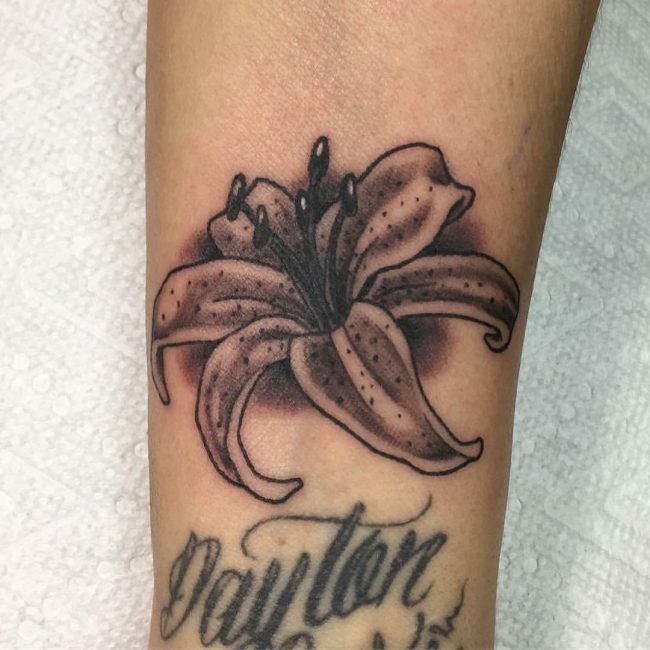 If you want to find the correct meaning of your lily tattoo, then you must track back the associated culture. 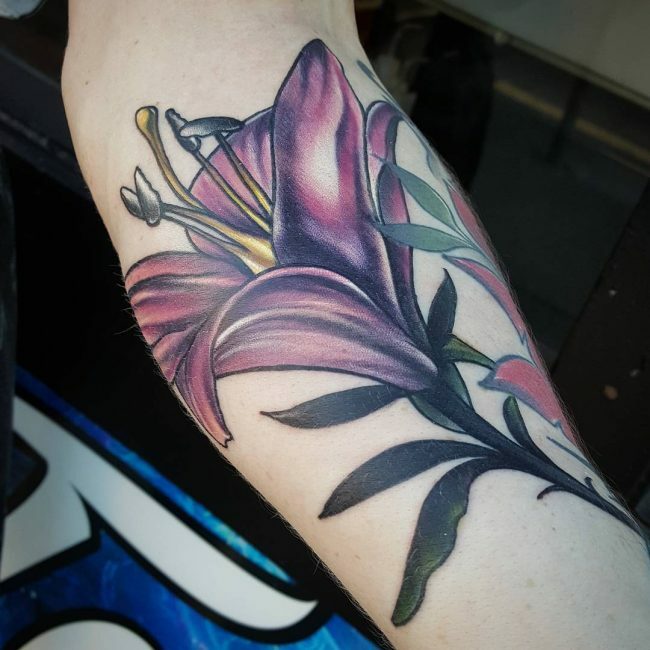 As an example, in ancient Greece and Egypt, the lily symbolizes sexuality. 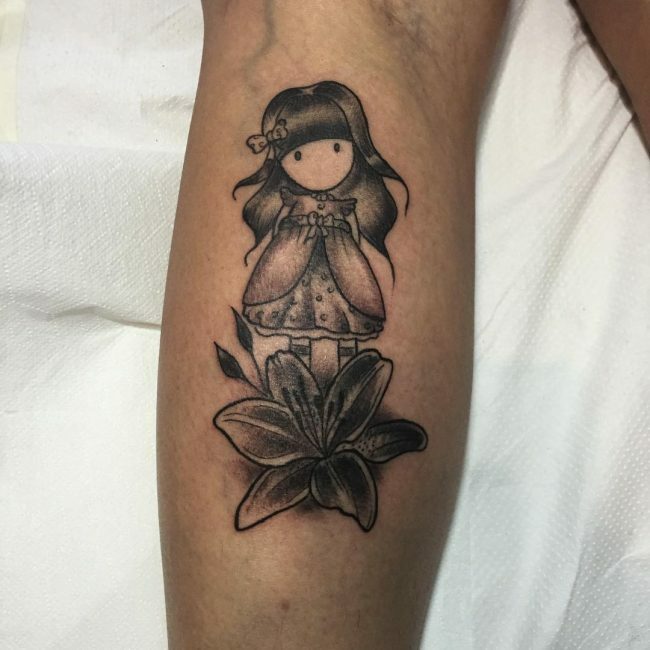 In ancient Chinese culture, its symbolizes prosperity and purity. 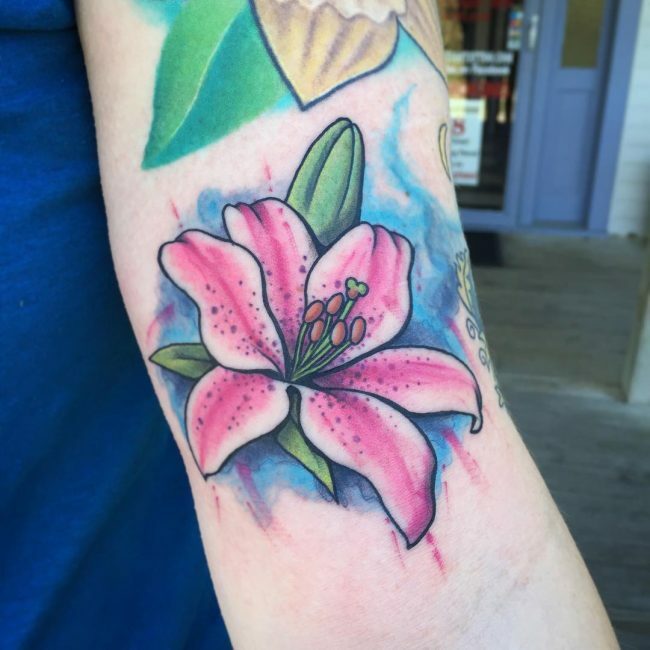 However, it’s the Christian culture that has a close link to the lily symbolism. 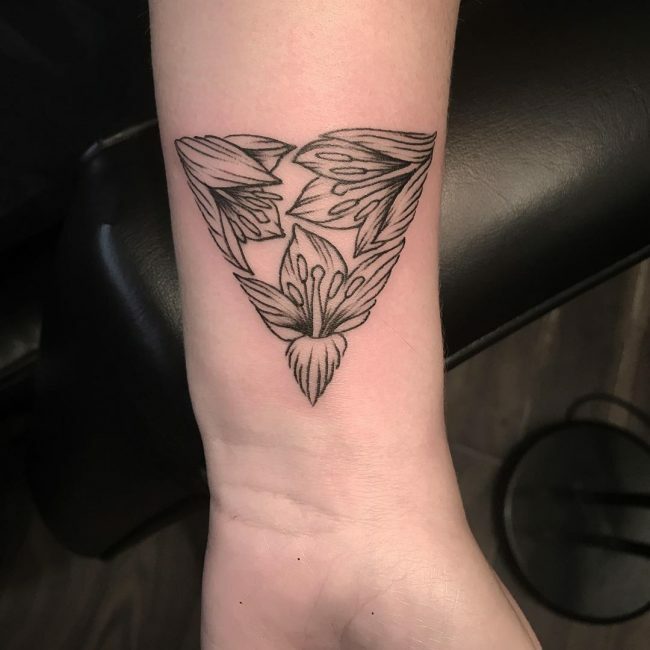 During medieval times, the Christian influence was it’s highest and that’s where the Fleur-De-Lis design got really popular. 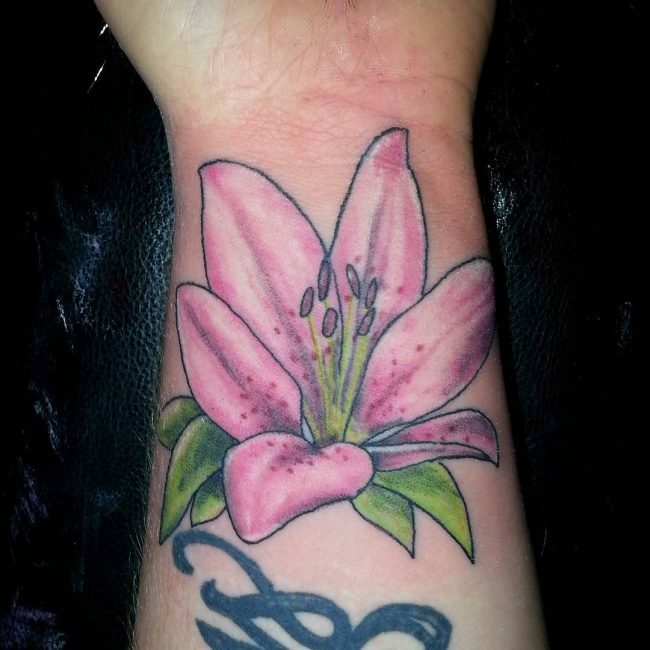 If you don’t know, Fleur-De-Lis design is a design that is based on a lily flower (more in this later). 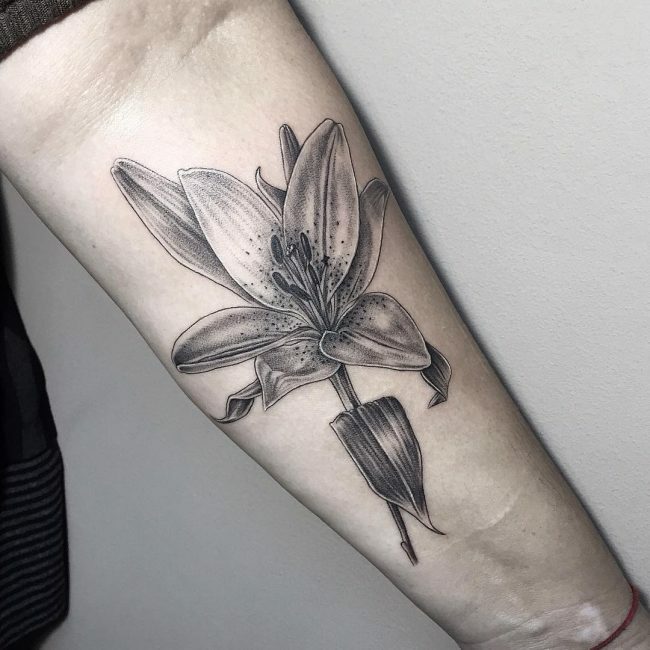 Since the Christian culture still holds a major influence in modern times, you can represent a lily tattoo as something that symbolizes your love and faith to your God. 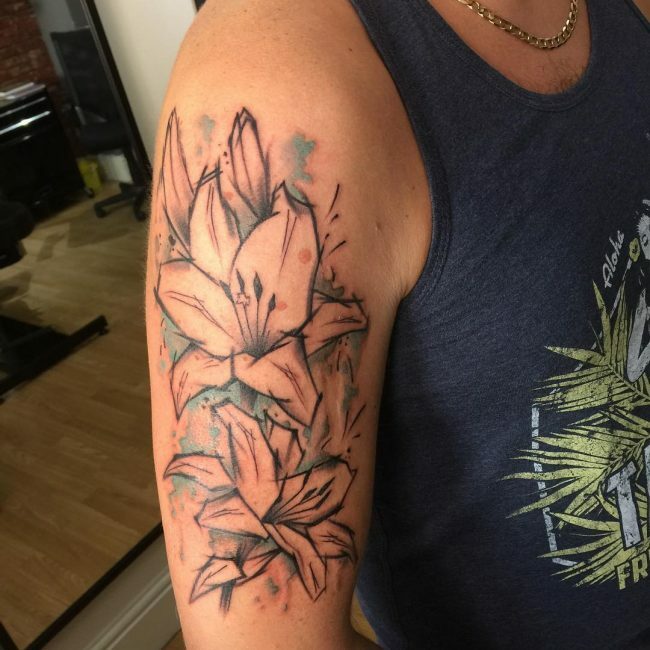 As promised, let’s cover more about the Fleur-De-Lis design. 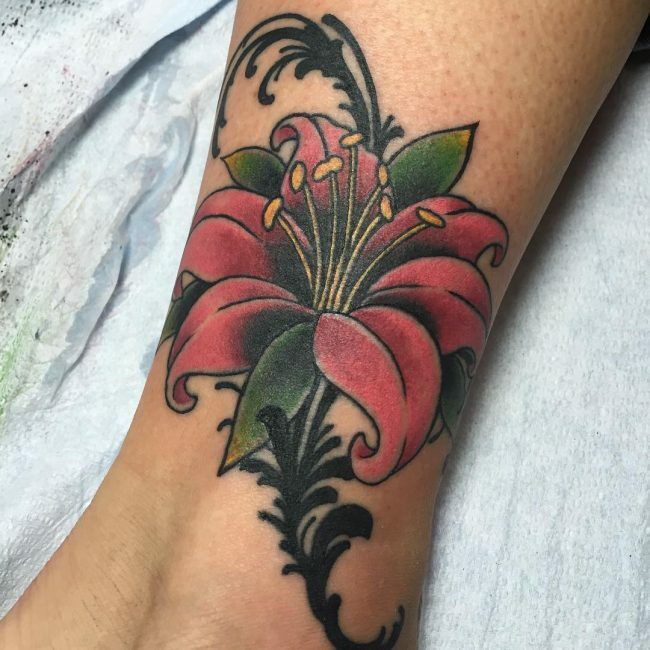 The Fleur-De-Lis design was very popular during the medieval times. 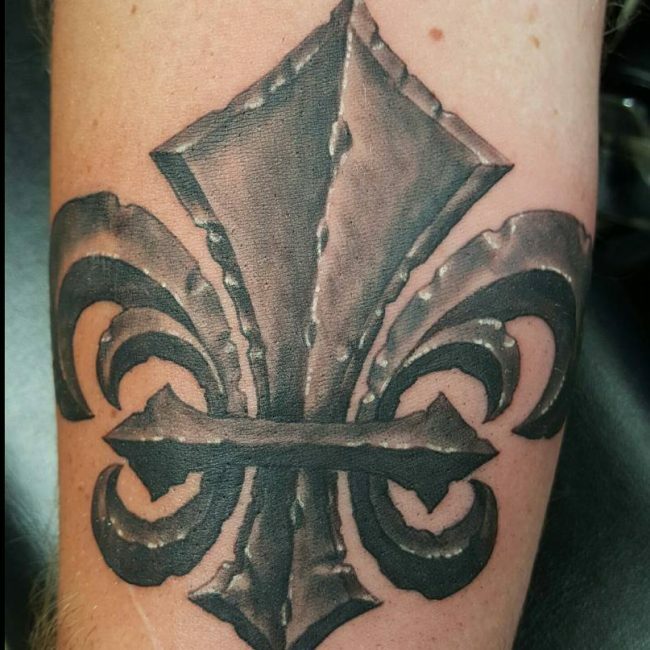 In fact, Fleur-De-Lis design itself can represent the “rawness” of the medieval era. 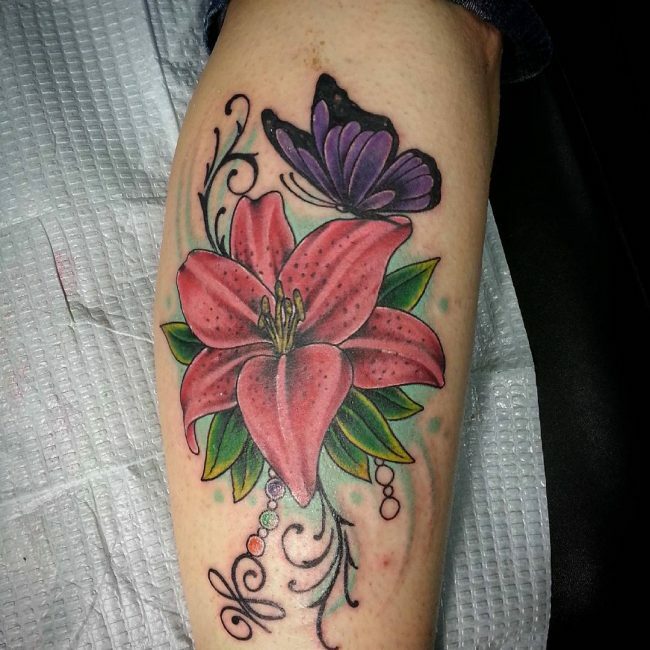 The Fleur-De-Lis design is also commonly associated with royalty and religion. 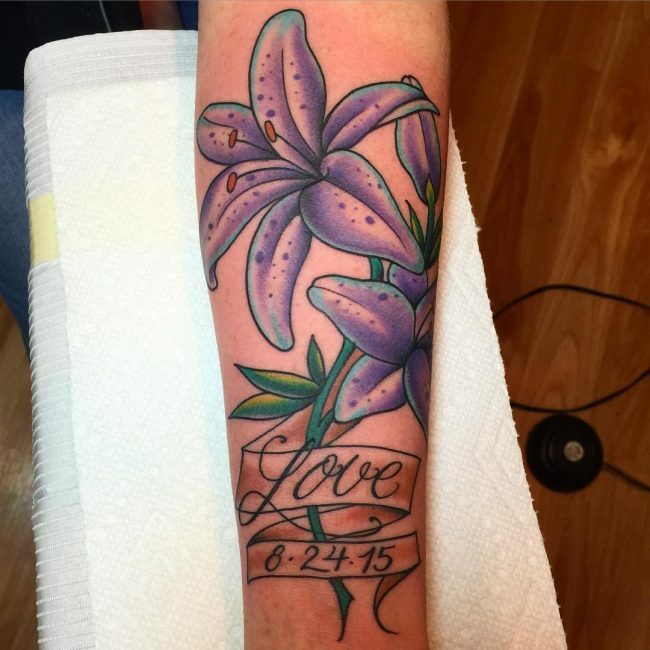 Yet, it’s not during the medieval times in which the Fleur-De-Lis design was invented. 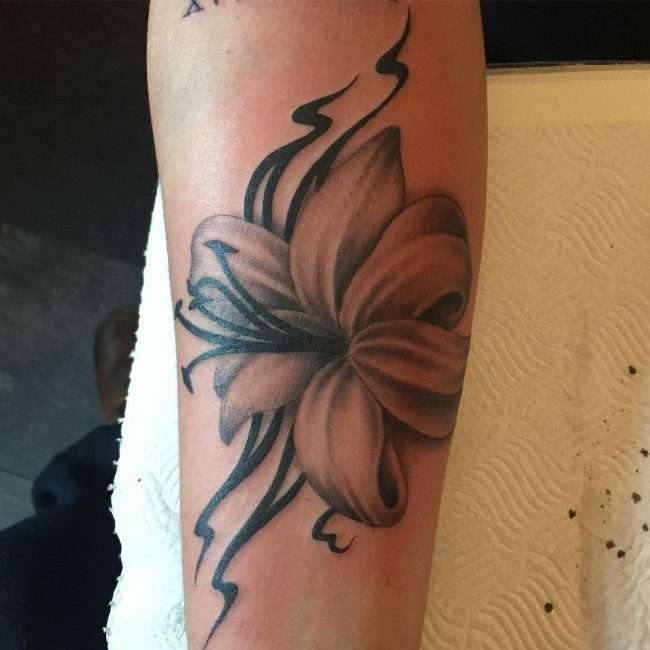 In ancient India, Egypt, and Mesopotamia, there are already depictions of the Fleur-De-Lis. 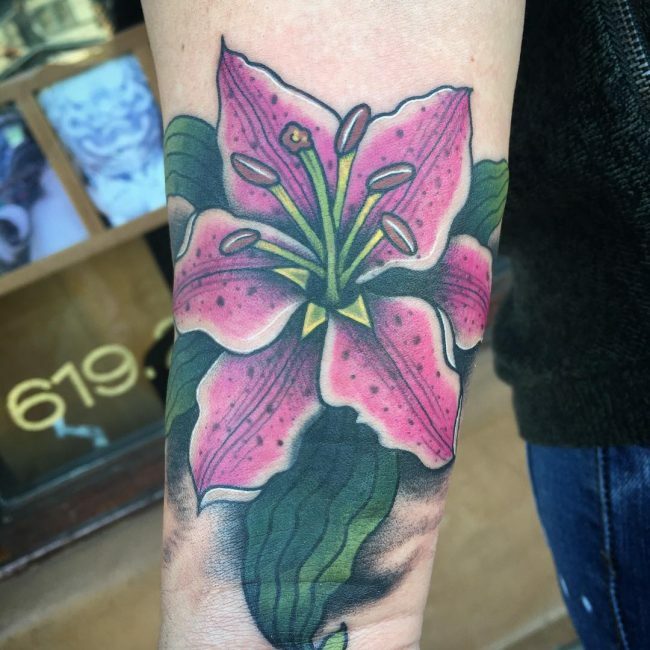 It was only during the medieval times that it’s popularity blossomed. 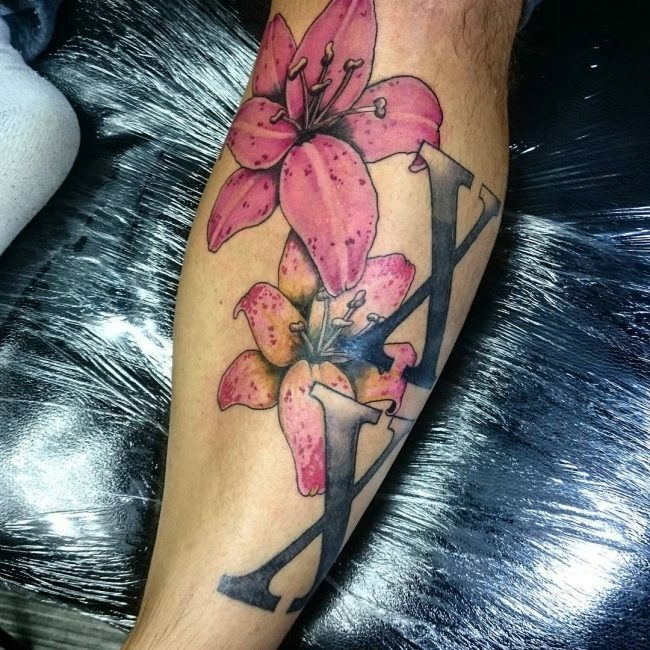 In medieval Europe, Fleur-De-Lis is a common sight on flags and coat-or-arms. 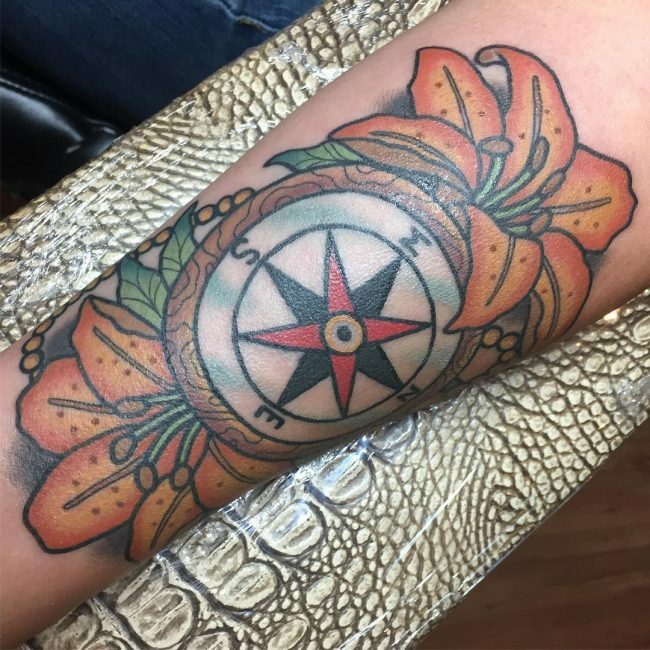 Even to this day, its a common government symbol for nations and cultures that were touched by the medieval French influence. 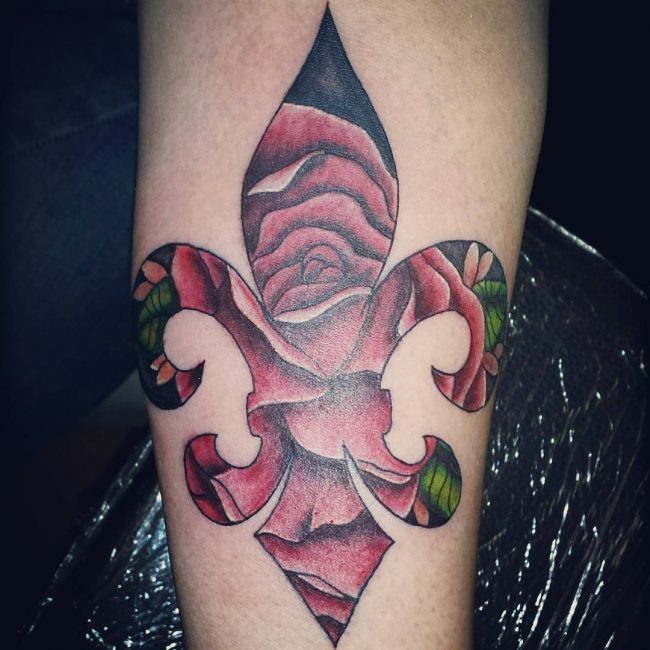 Some notable use of Fleur-De-Lis is the Lousiana flag. 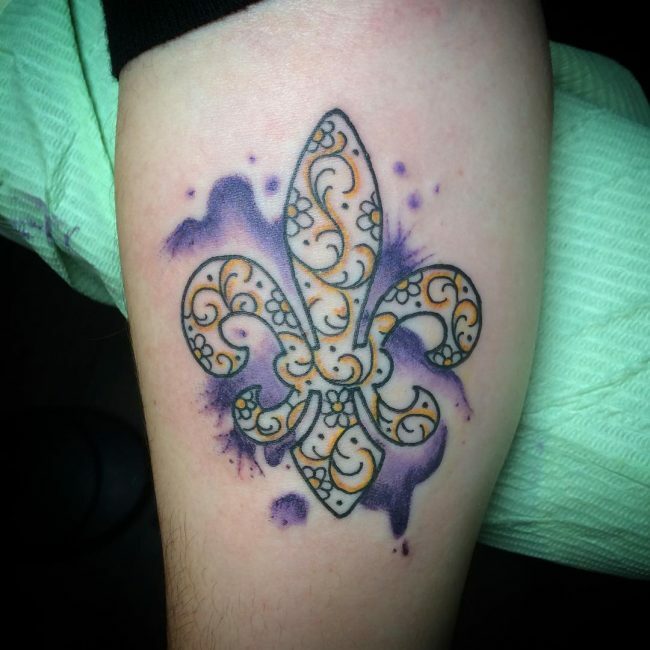 The state of New Orleans often portrays the Fleur-De-Lis for their Mardi gras and Saints. 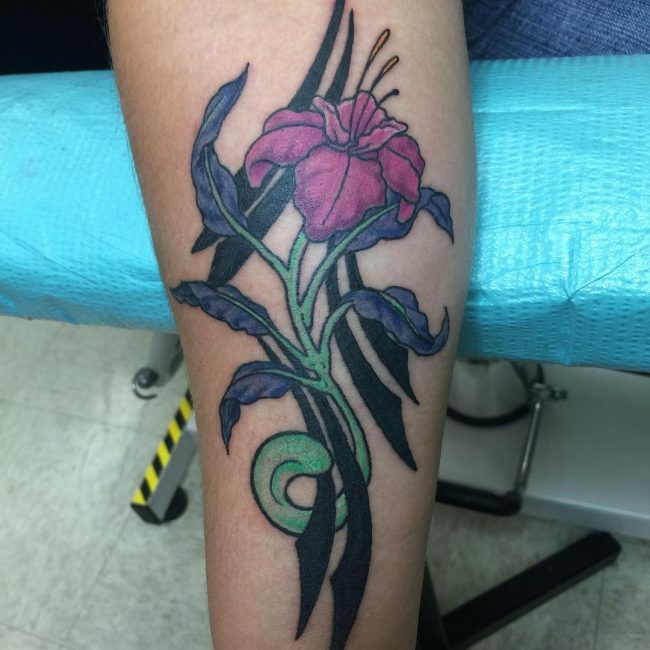 Also, the Boys Scout’s symbol is a green Fleur-De-Lis, which represents to “Be Prepared”. 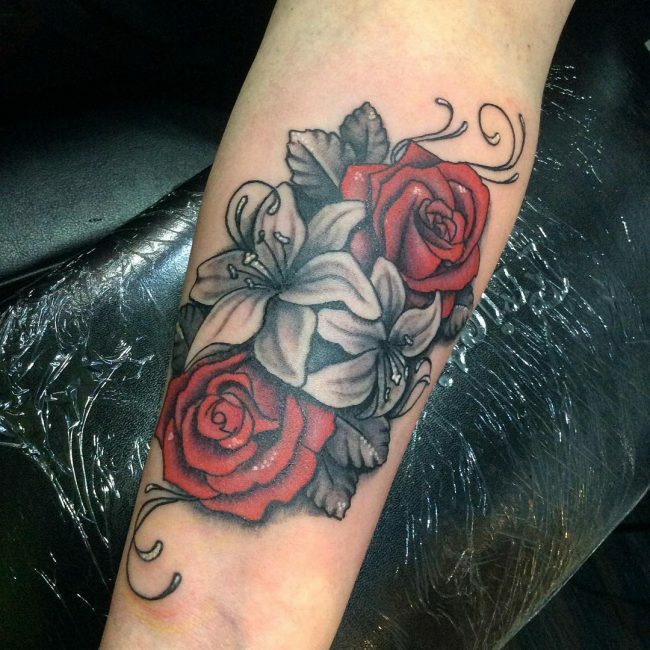 Royalty – the monarchy and royalty are a form of government that was at its highest during the medieval times. 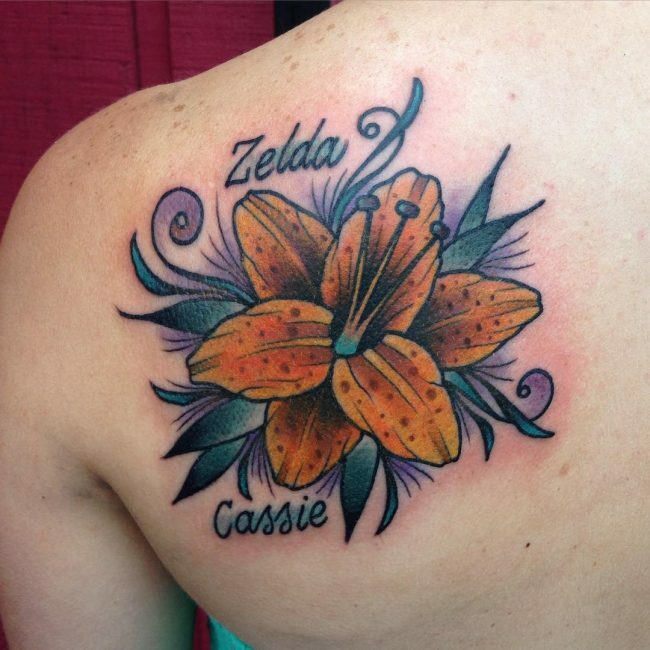 Hence, having a tattoo with a Fleur-De-Lis design can represent royalty. 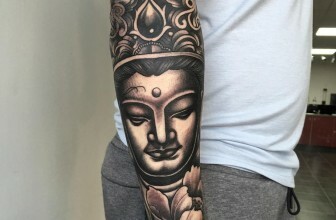 Wealth – this is another offshoot association that comes from the monarchs. 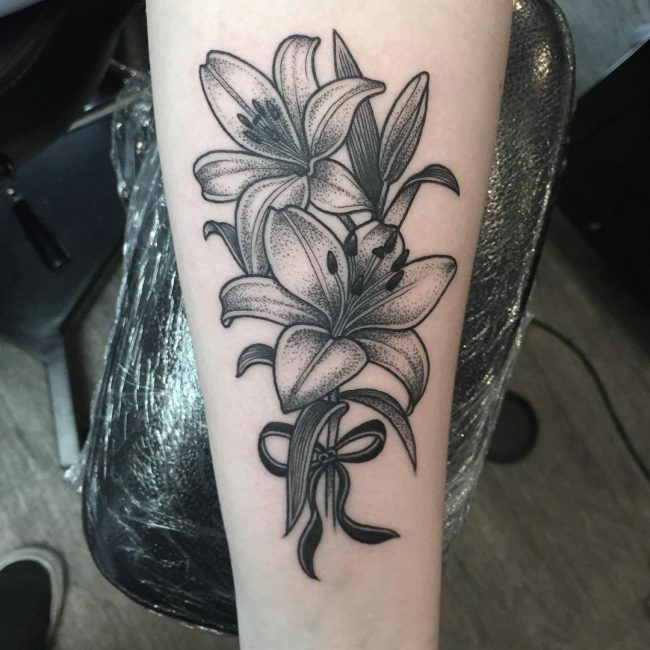 Since medieval royalties often use the Fleur-De-Lis design and they were also wealthy, your Fleur-De-Lis tattoo could mean prosperity and wealth. 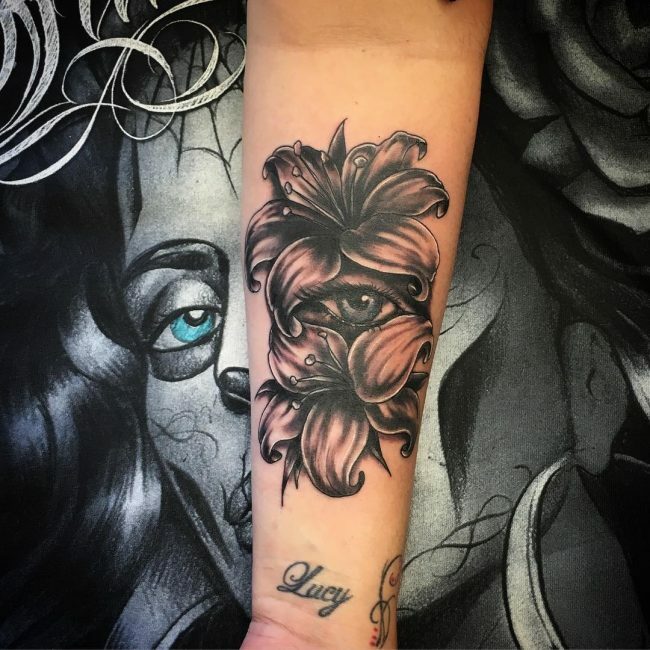 Glory – it’s not uncommon for glorious tales and story to originate from the medieval era. 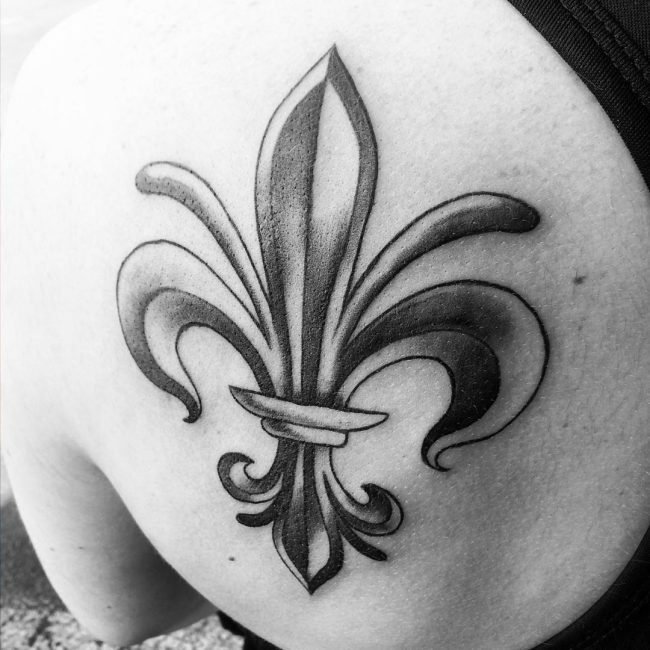 Hence, a Fleur-De-Lis could also represent glory. 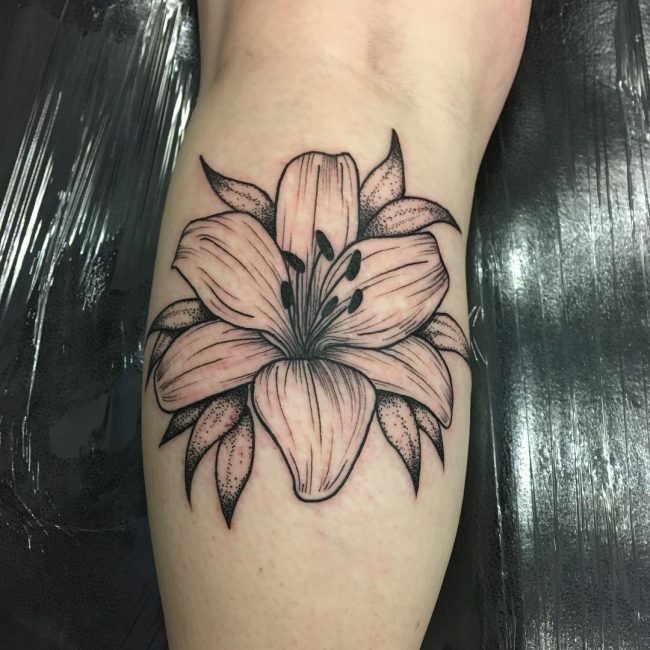 Now that we have covered a bit of history and meaning of the lily design, let’s move on the common tattoo techniques used for the lily tattoo. 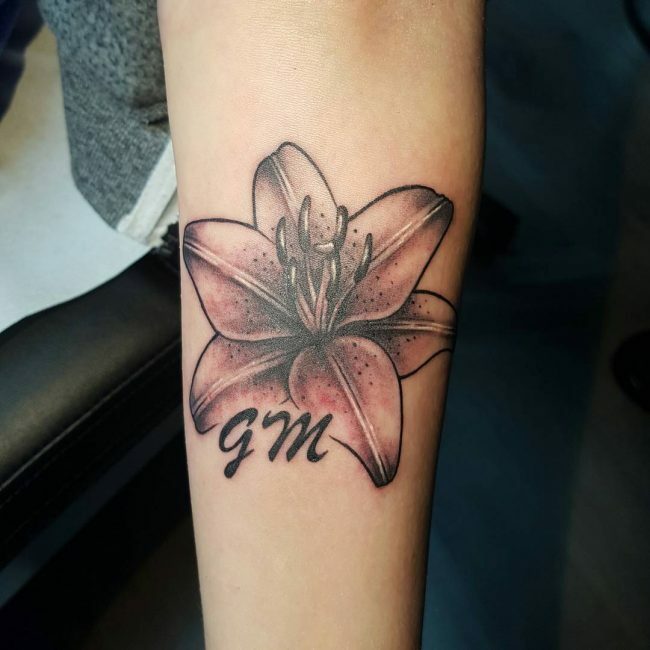 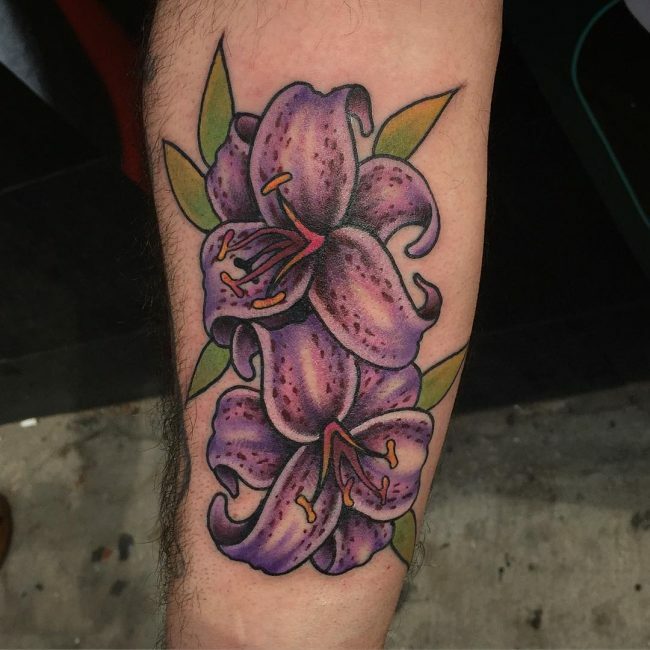 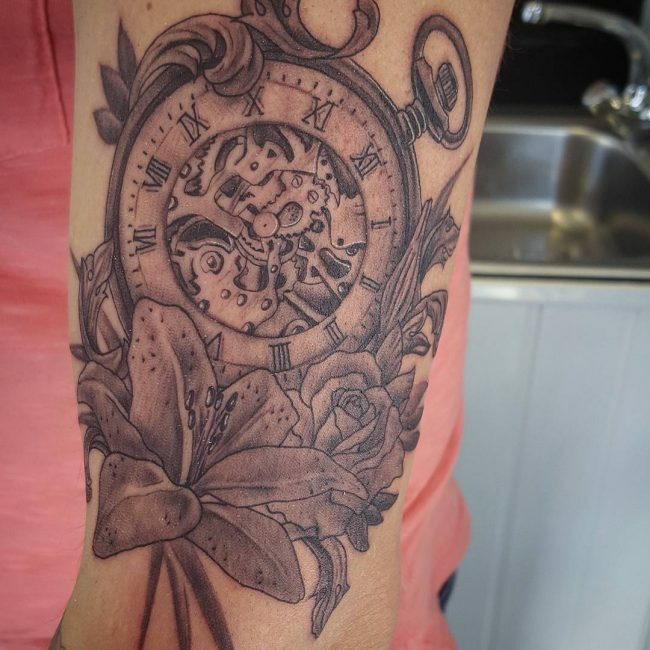 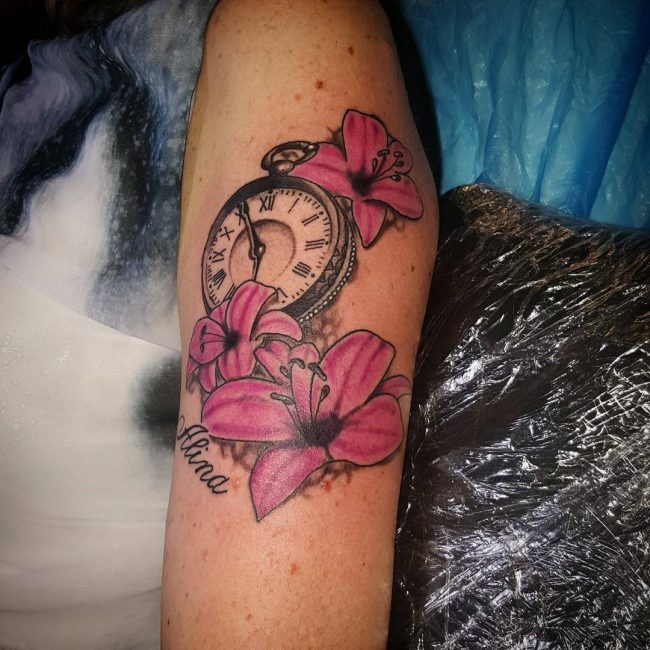 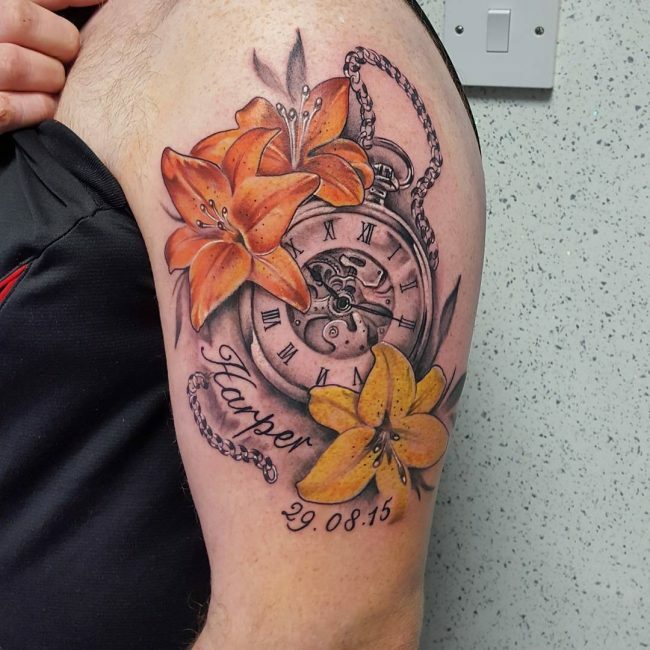 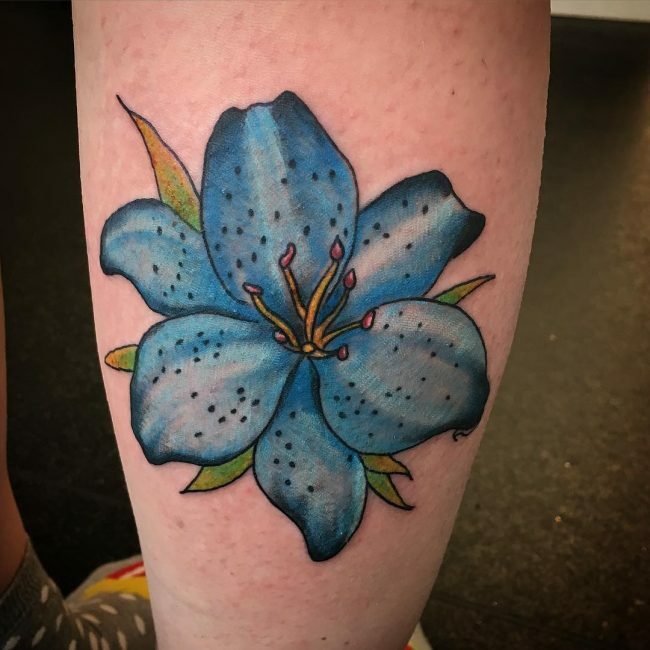 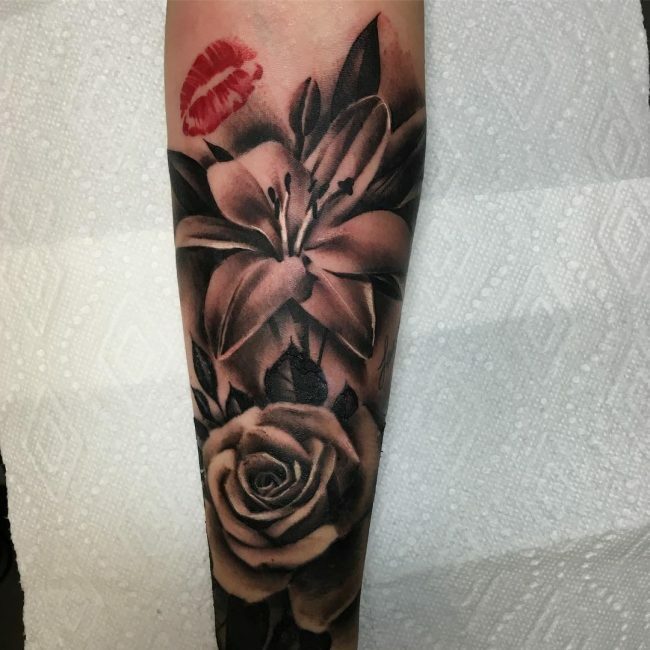 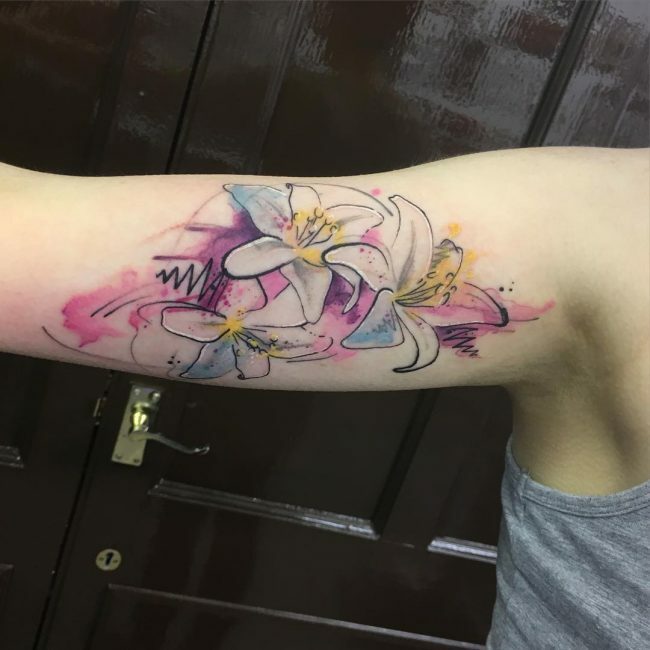 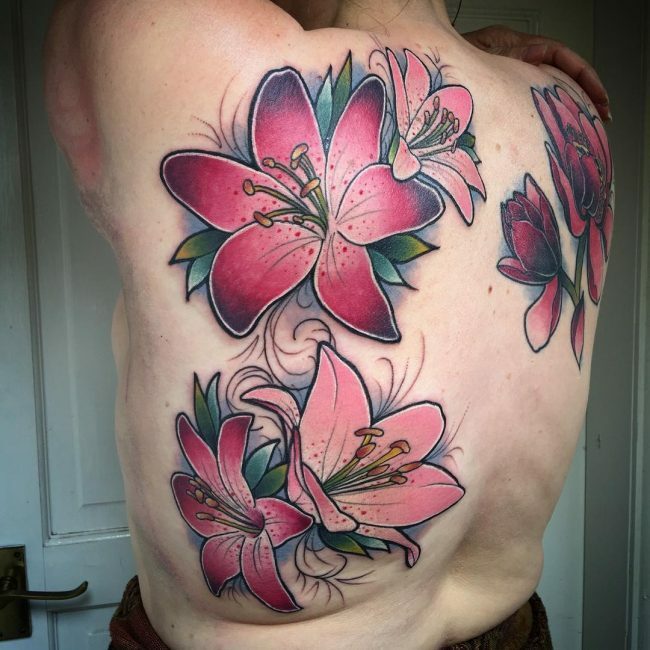 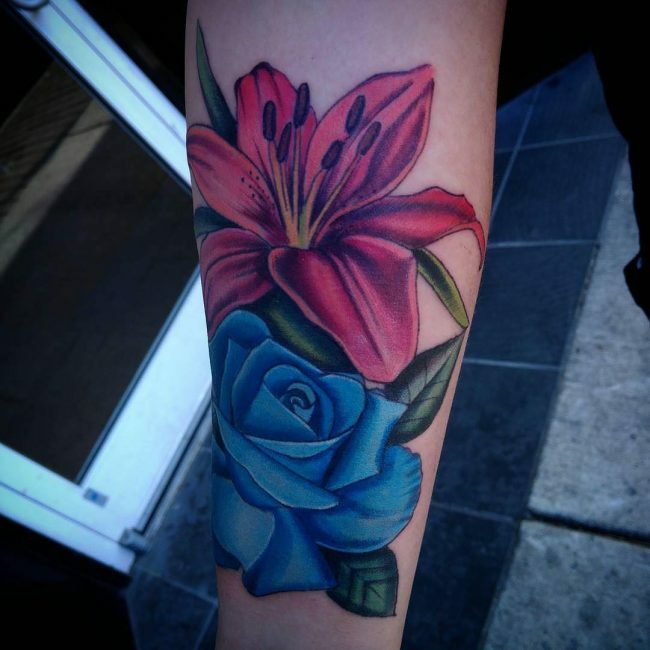 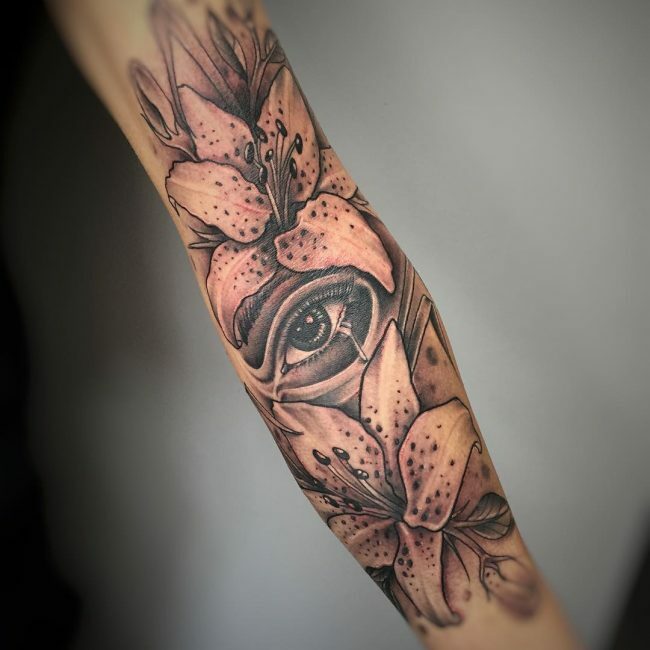 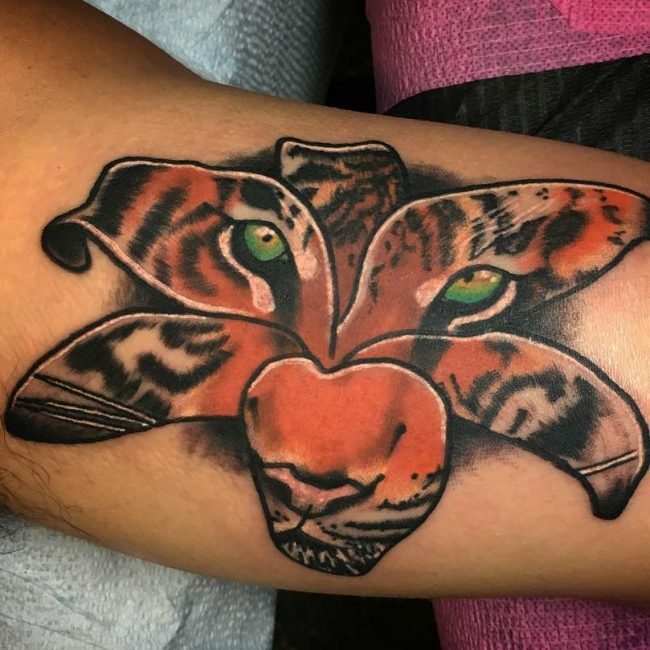 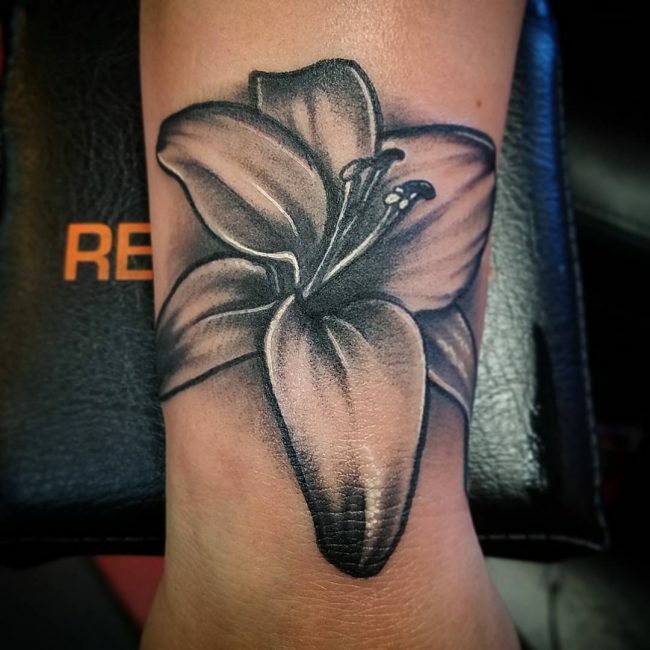 There are basically two common techniques whenever there is a lily tattoo design requests – the old school and 3d effect. 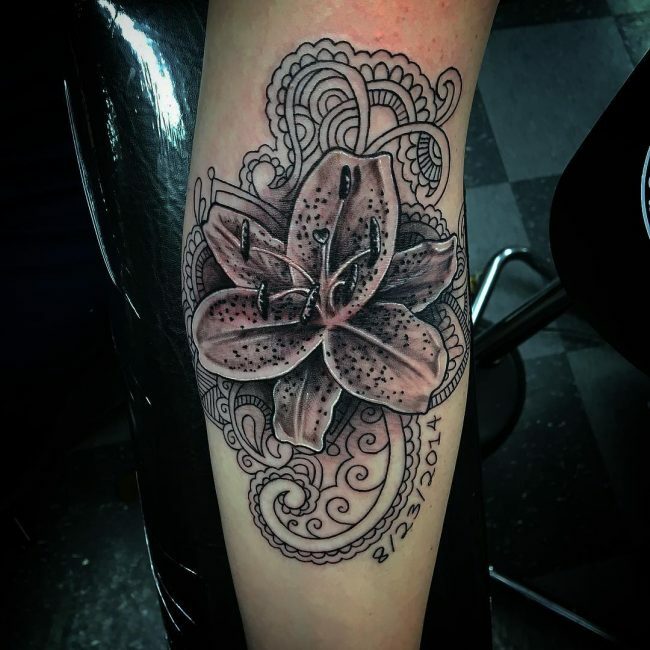 Old school method is also known as the classic technique. 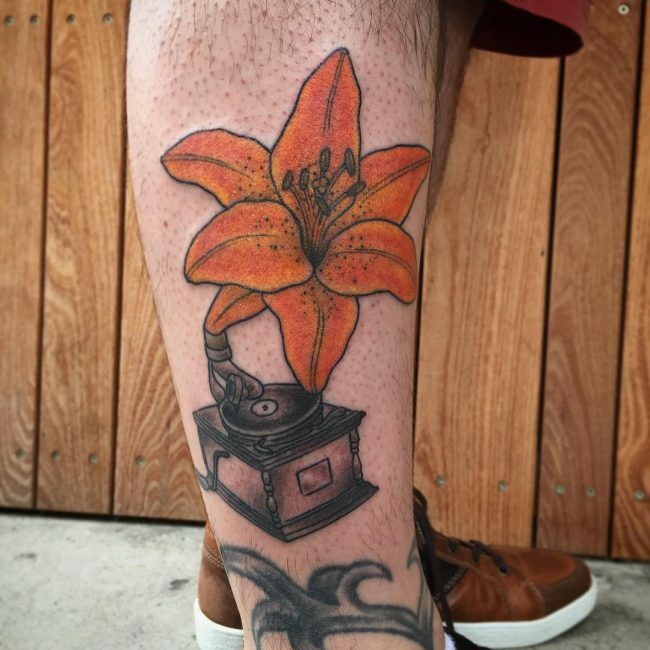 It’s the tattoo technique before the tattoo machines were invented. 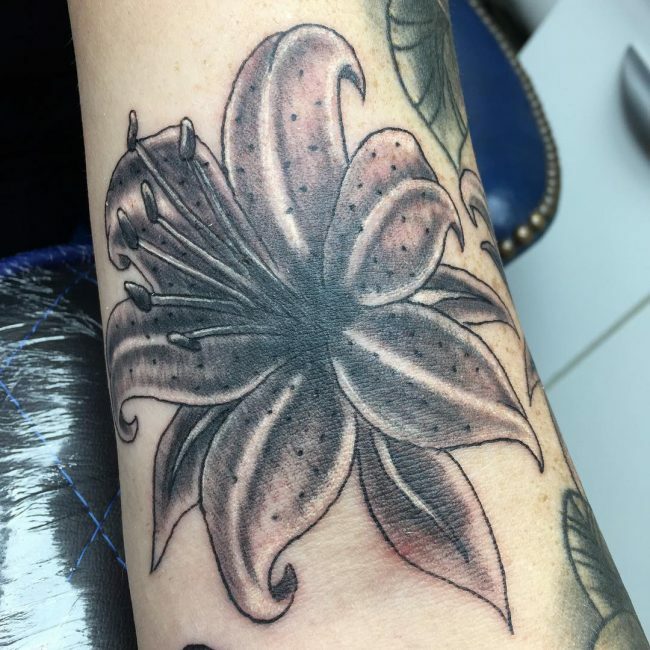 Depending on where you get your old school lily tattoo, the artist may use bones, teeth, thorns or needles to push the pigments into the skin. 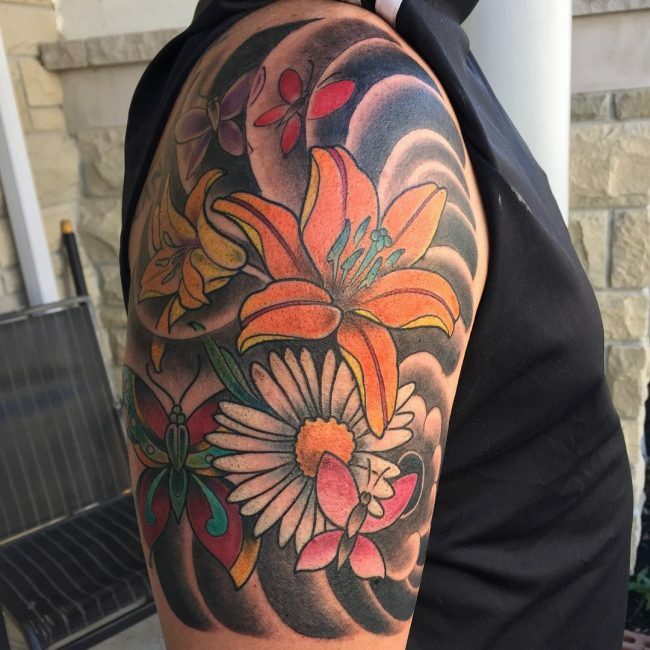 It’s also common for the old school artists to use pigments that are naturally obtained such as soot or red ochre. 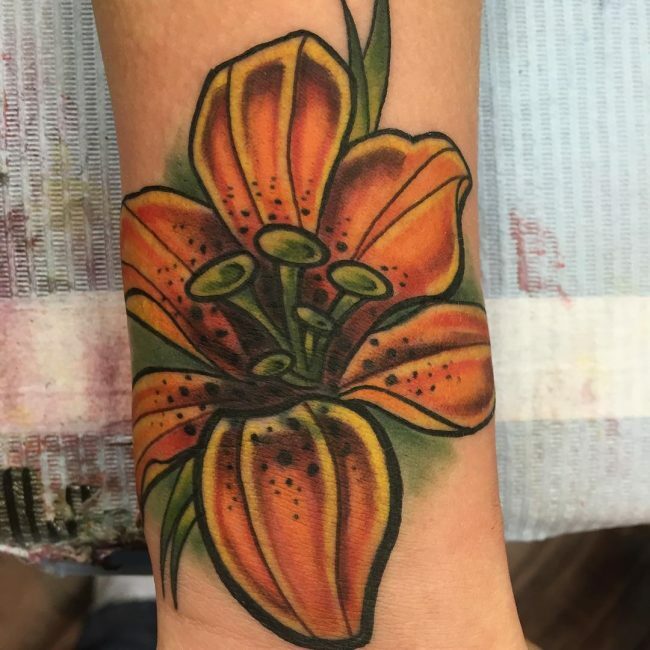 When you want to get an old school lily tattoo, you are most likely going to experience the hand-poking technique. 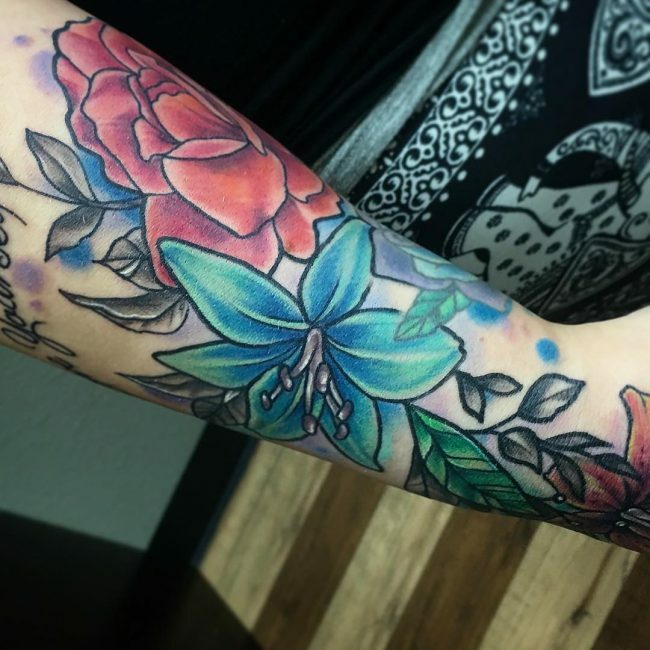 This technique involves gently pushing a set of needles, with its pigments, to the skin repeatedly. 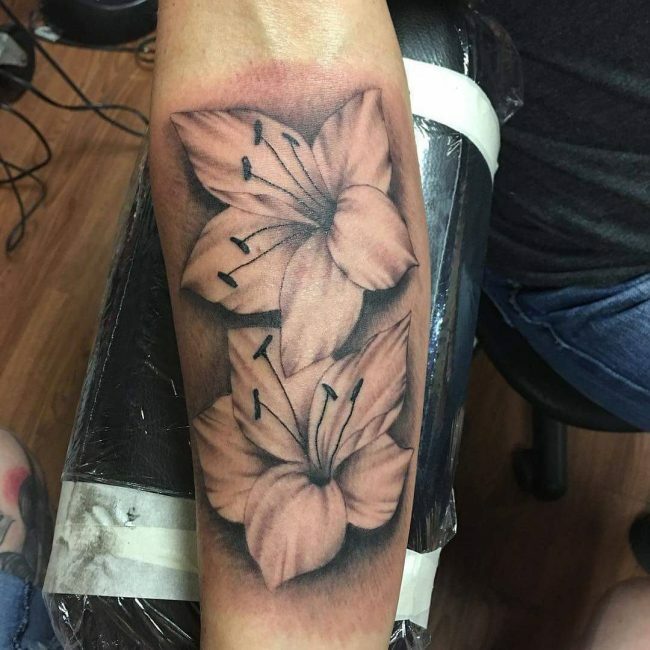 Another common old school technique is the pricking out, which usually means an artist inserting needles into the skin and flicking it out. 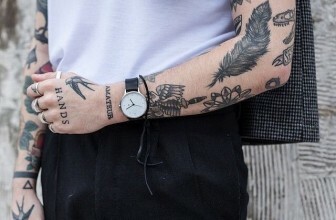 The hand-poking technique is much more common as it’s less painful. 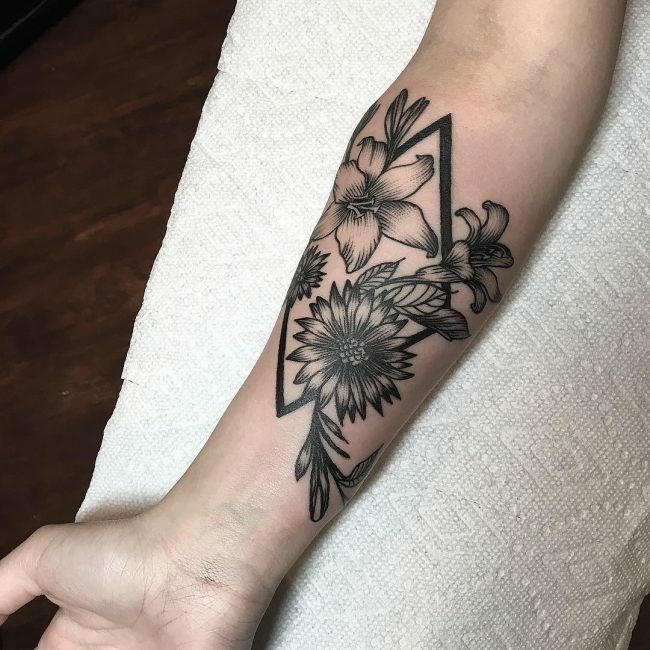 However, it is slower compared to the pricking out. 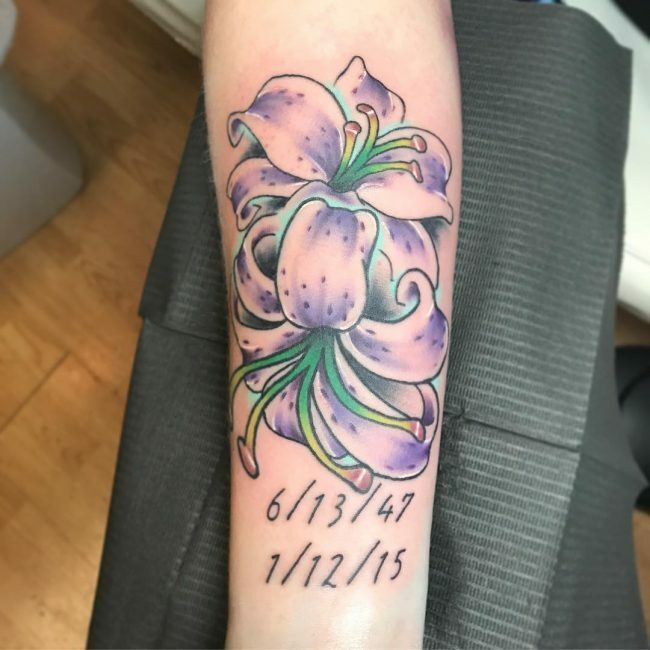 If you want a lily design done in an old school technique, it’s best to go with a Fleur-De-Lis design. 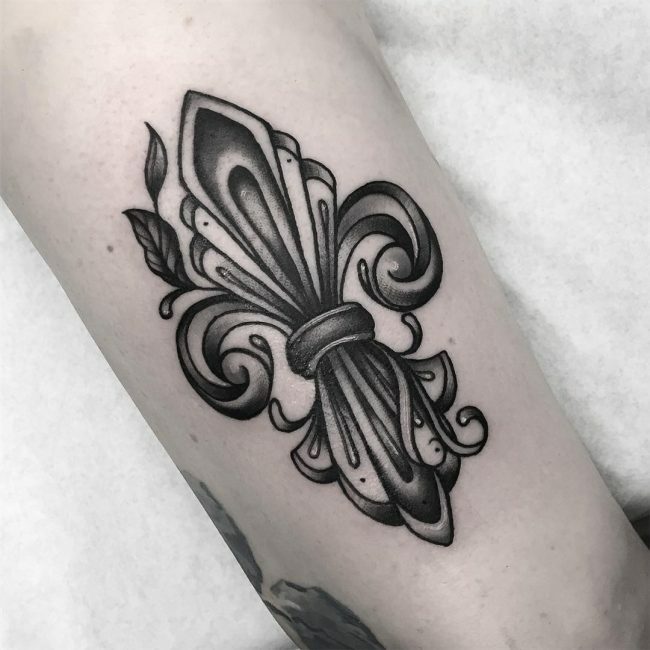 The classical feel and look of the Fleur-De-Lis go very well with the technique. 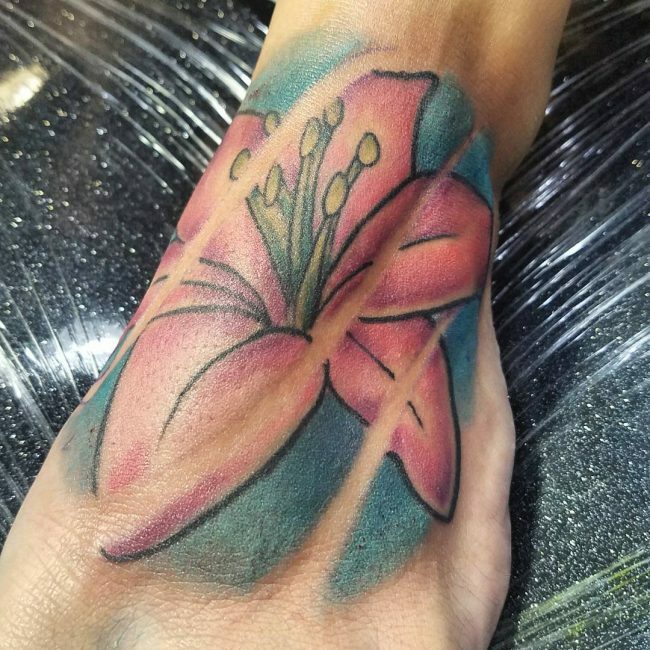 Another common technique for lily designs is the 3d effect. 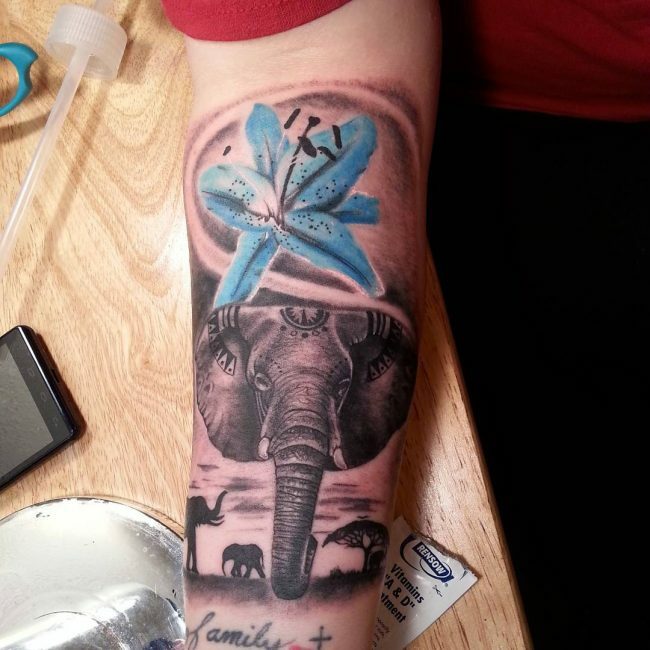 Basically, a 3d effect tattoo is an optical illusion. 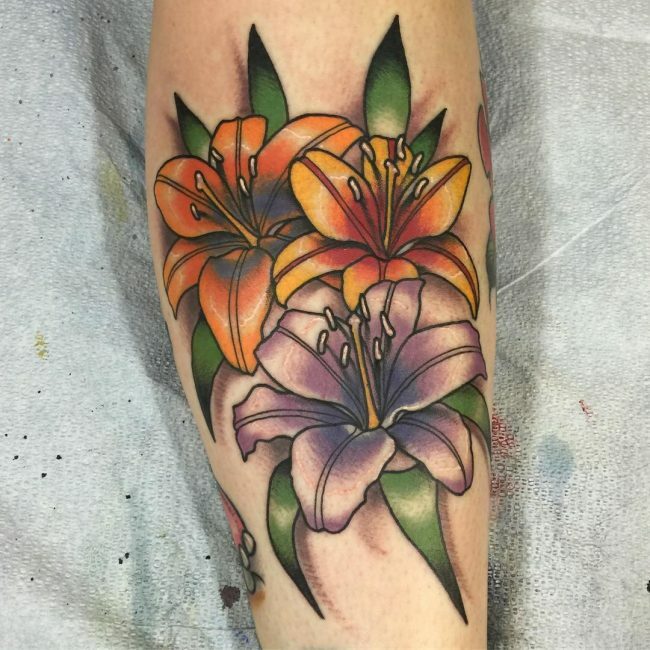 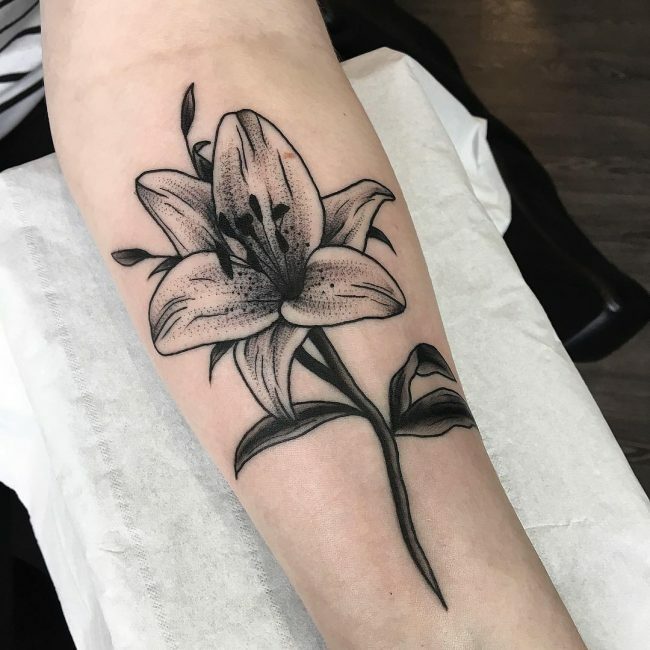 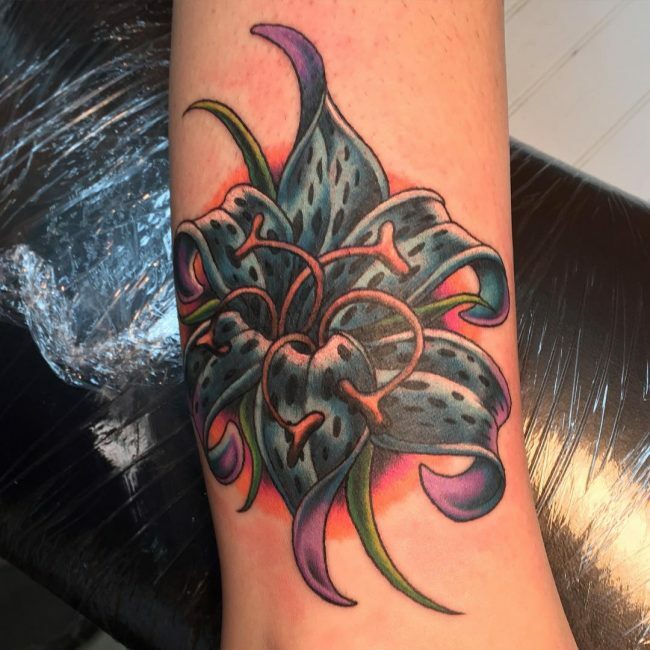 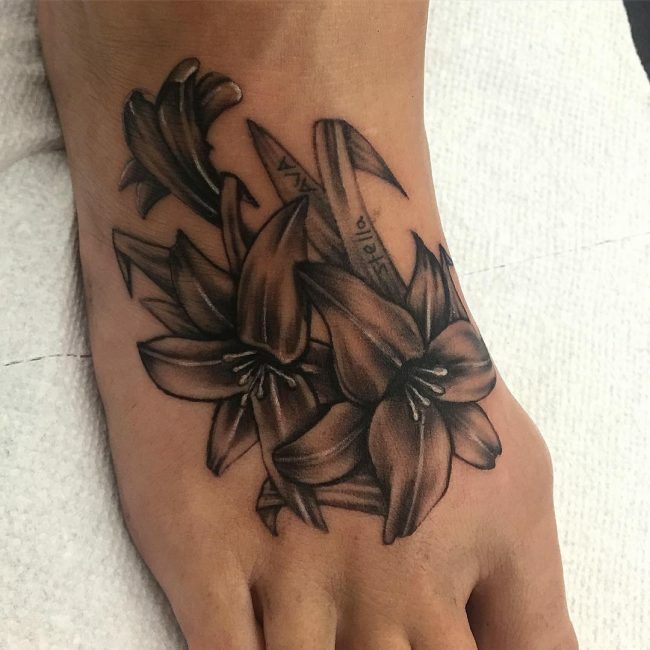 The artist creates an illusion of depth through the right representation of light and shadows as a way to give the lily tattoo it’s needed depth to illustrate the 3d effect. 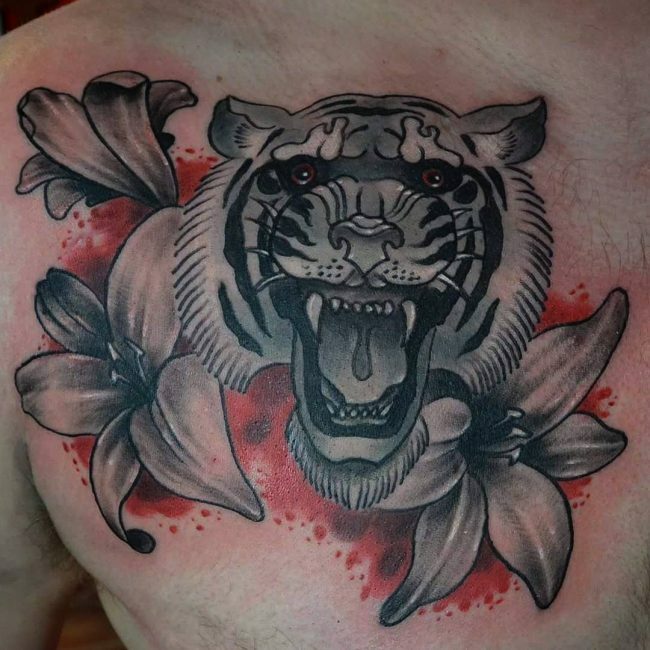 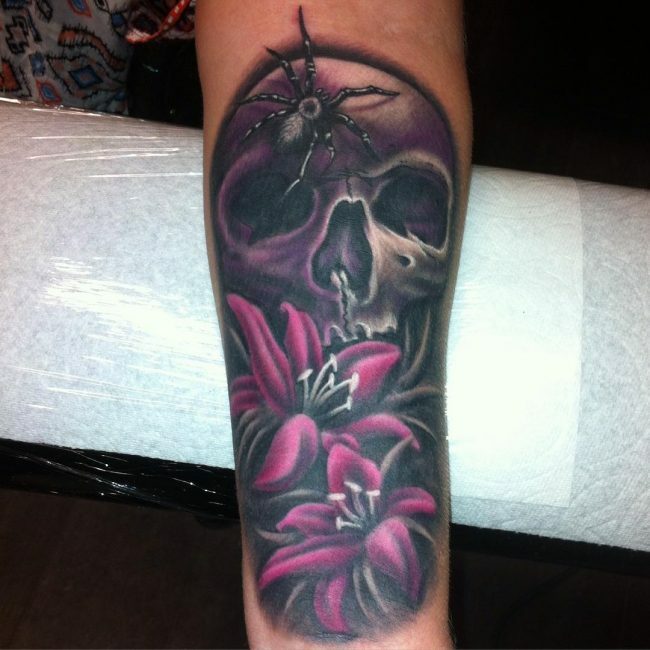 3d Effect is often associated with a modern style of tattooing. 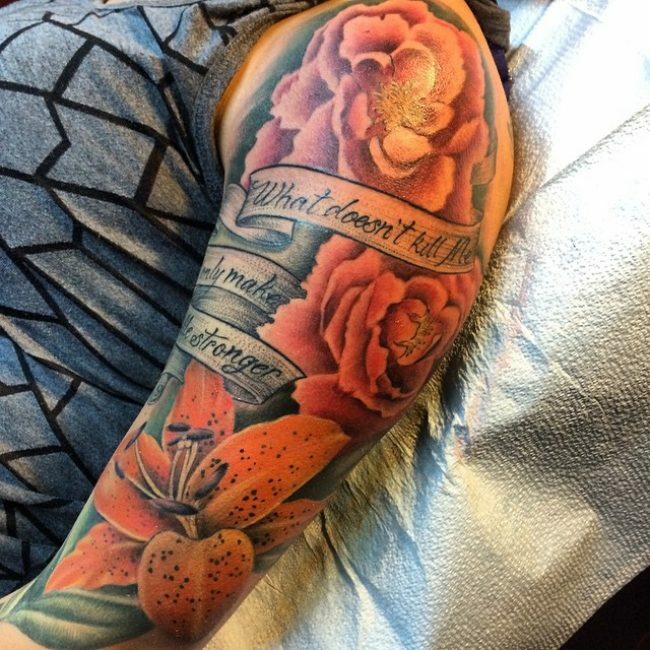 This is because it’s almost impossible to create the needed effect using old school needles. 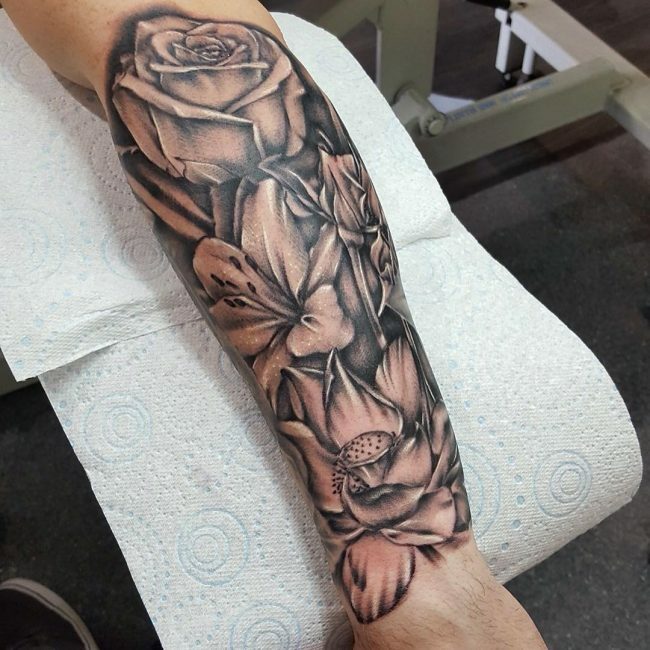 Creating shadows and highlights to portray depth is something that needs very fine needles and precision, which can only be achieved using the tattoo machine. 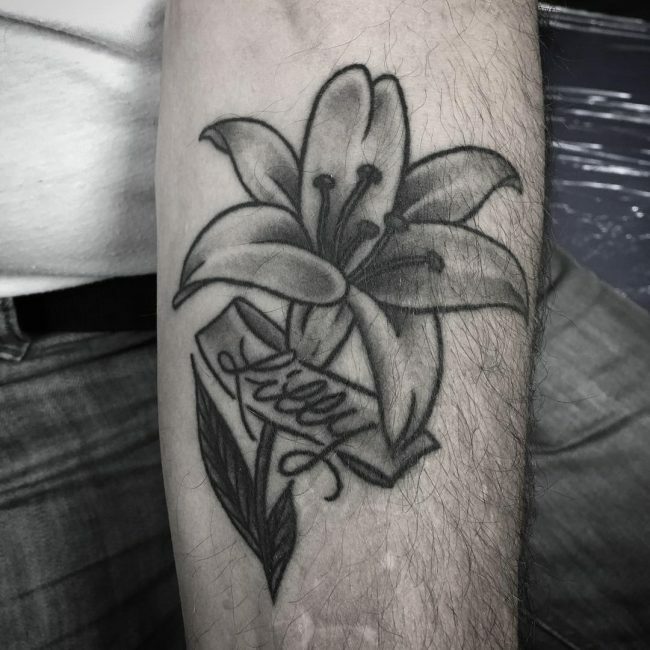 The great thing 3d effect technique is that it can be used for any lily design. 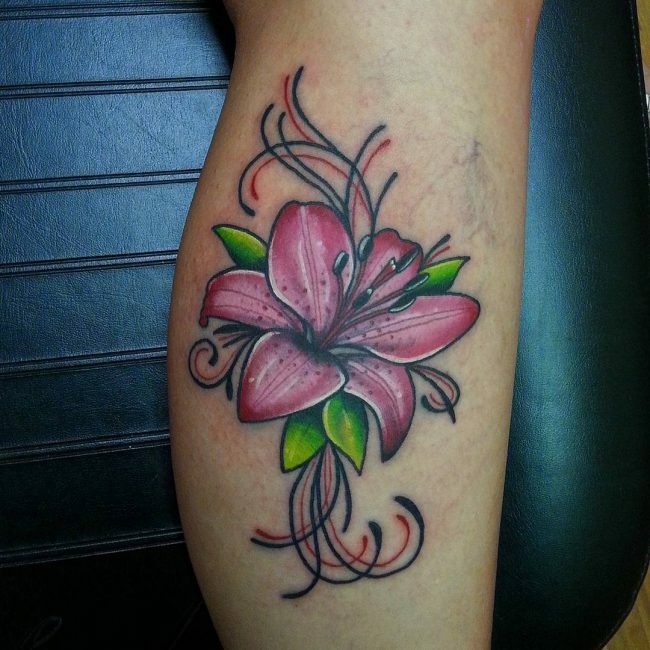 It’s also suitable if you are looking for a pure lily design and not a Fleur-De-Lis design. 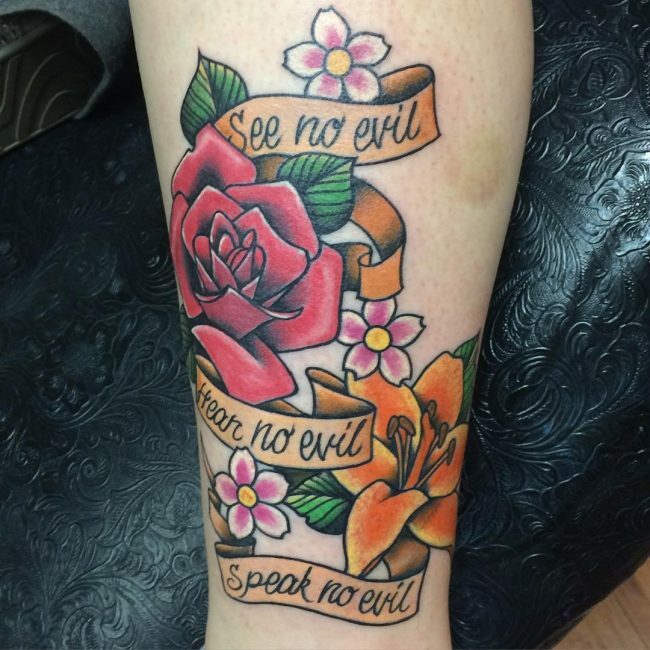 Keep in mind that this is just a guideline. 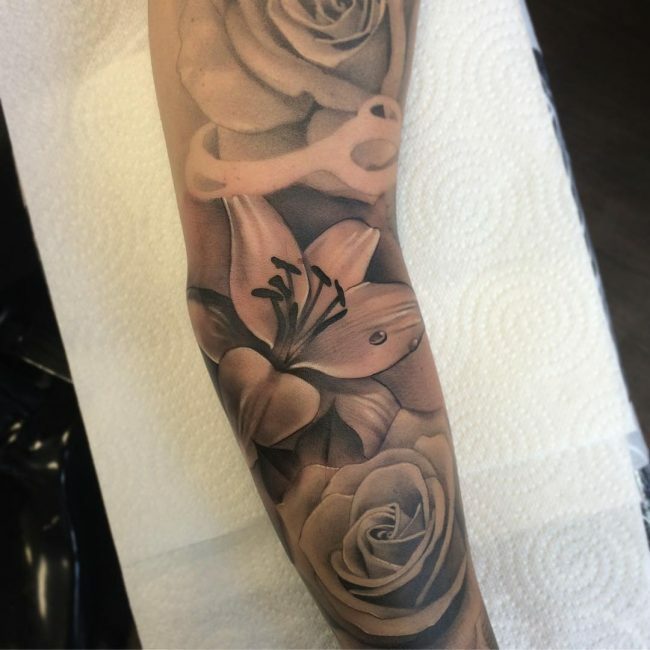 There is no rule that says you can’t have a Fleur-De-Lis tattoo design imprinted using a 3d effect technique. 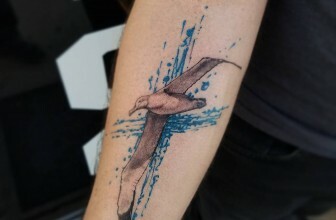 That’s the beauty of a tattoo. 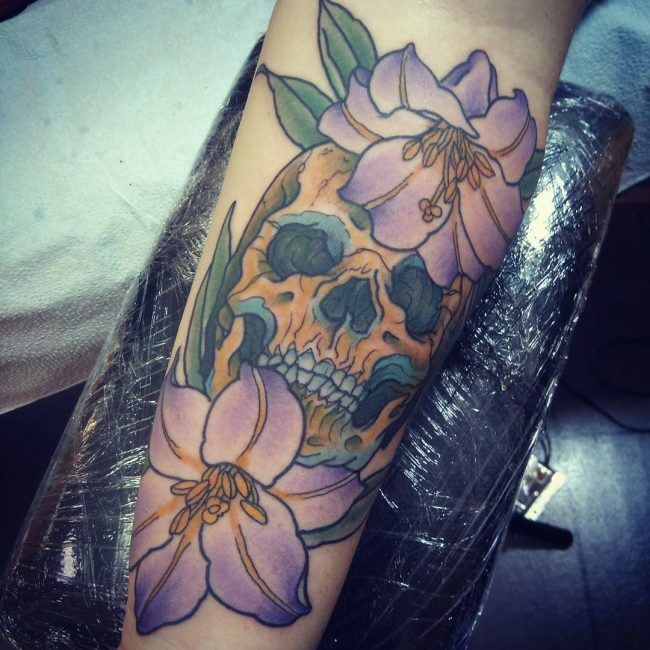 It’s your body and you get to choose anything you like – no rules and such. 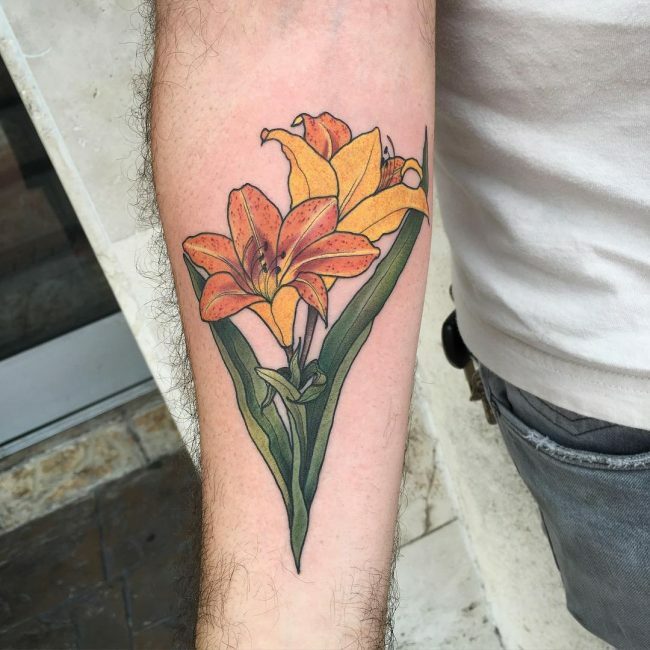 While the lily tattoo is a common choice for women, it’s possible for men to have it also. 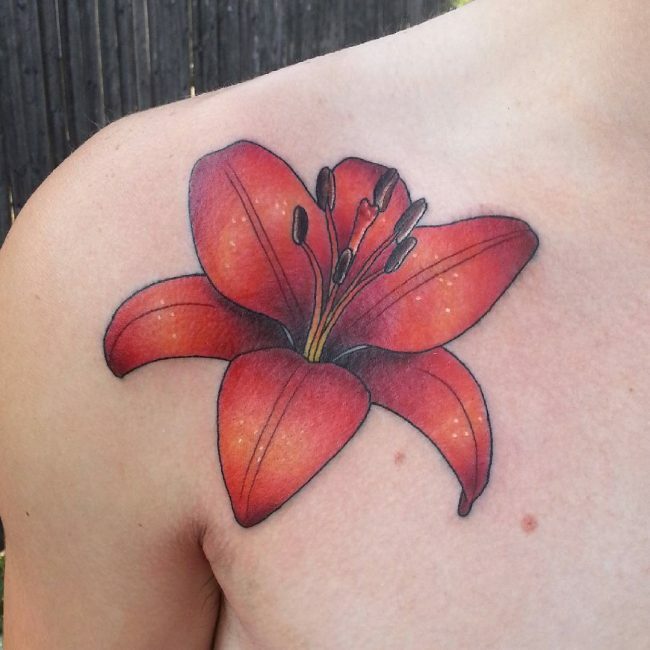 Men can have a lily tattoo in a design that represents the flower or something like a derivative like the Fleur-De-Lis. 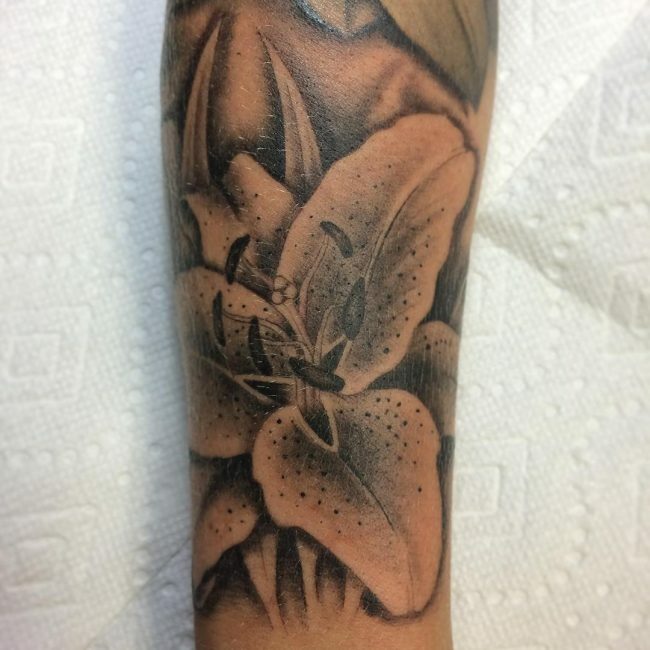 The lily can also represent a lot of meanings from purity, sexuality to glory and power. 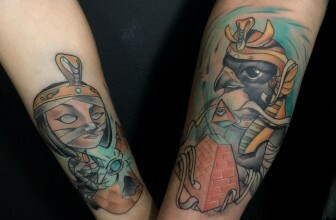 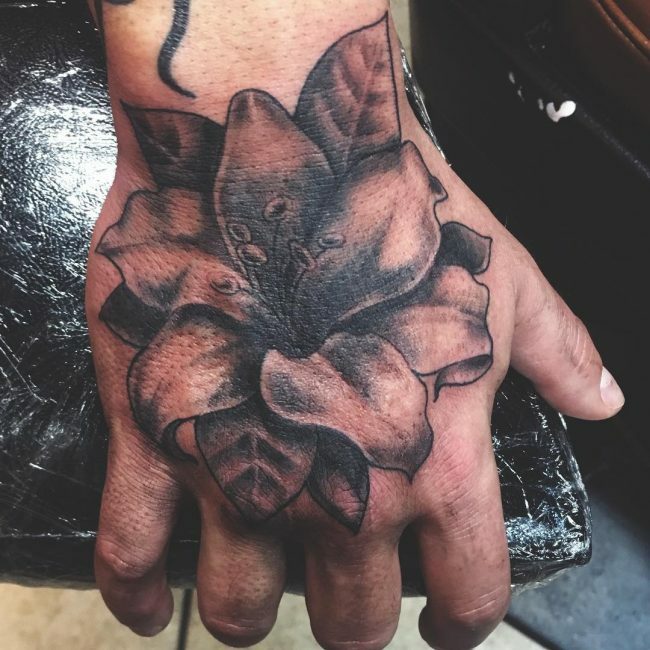 You also have the choice of old school, 3d effect, and other tattoo techniques. 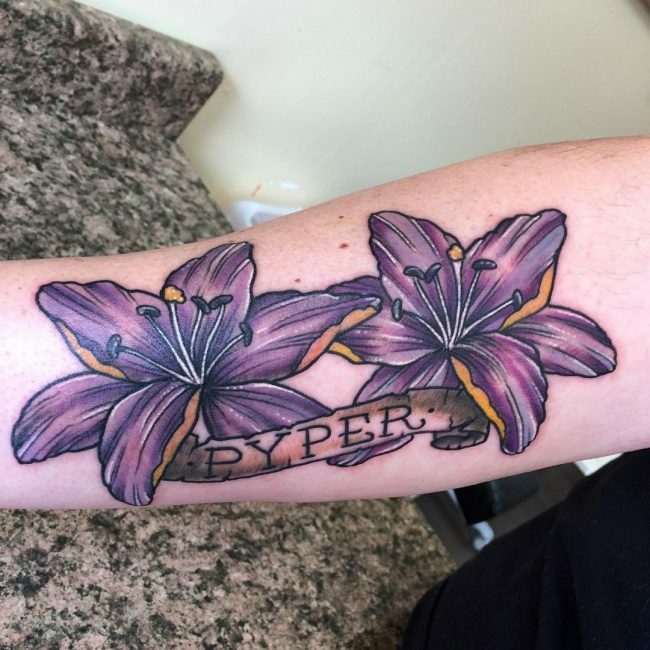 Just remember, as long as your lily tattoo is a form of inner expression or preference, there is no such thing as wrong or right. 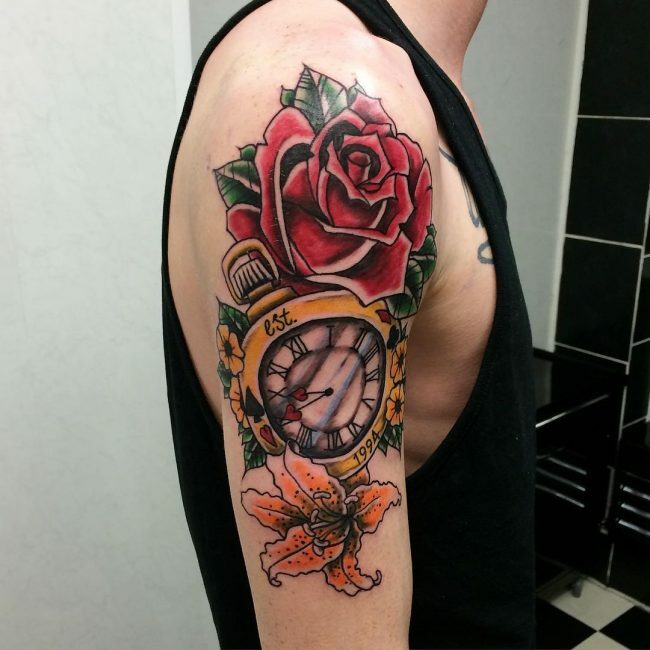 As a general rule, tattoo is something that is close to permanent. 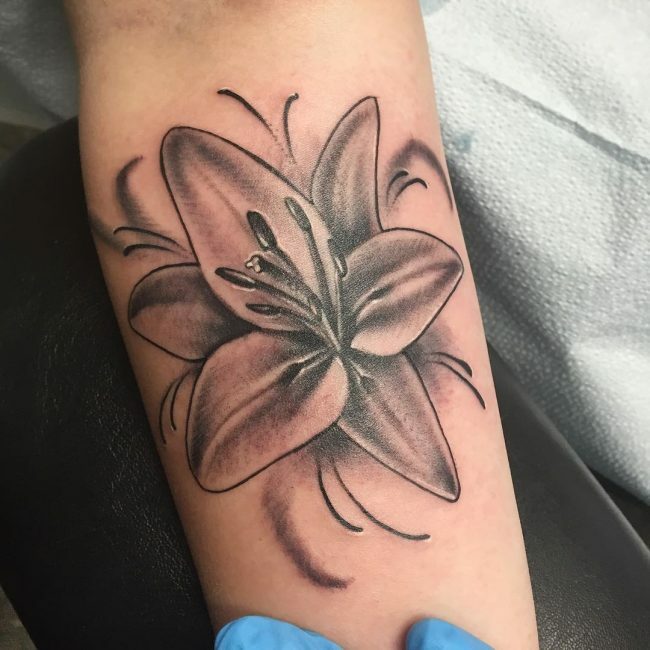 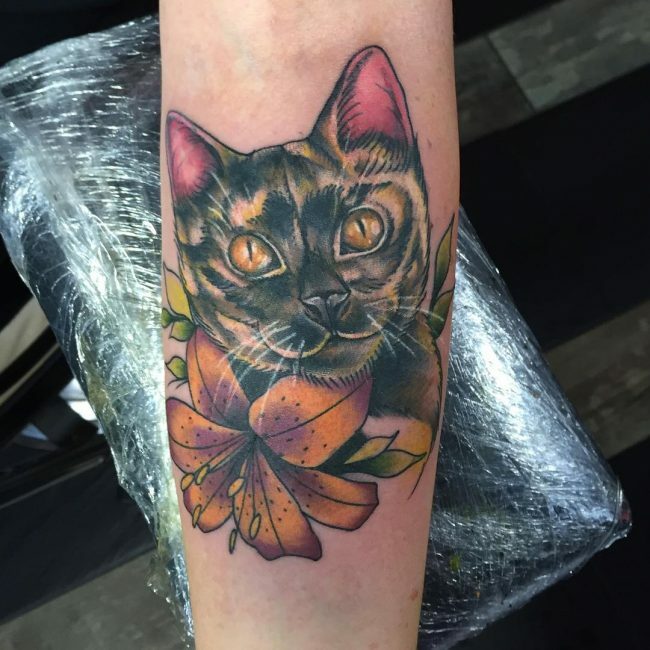 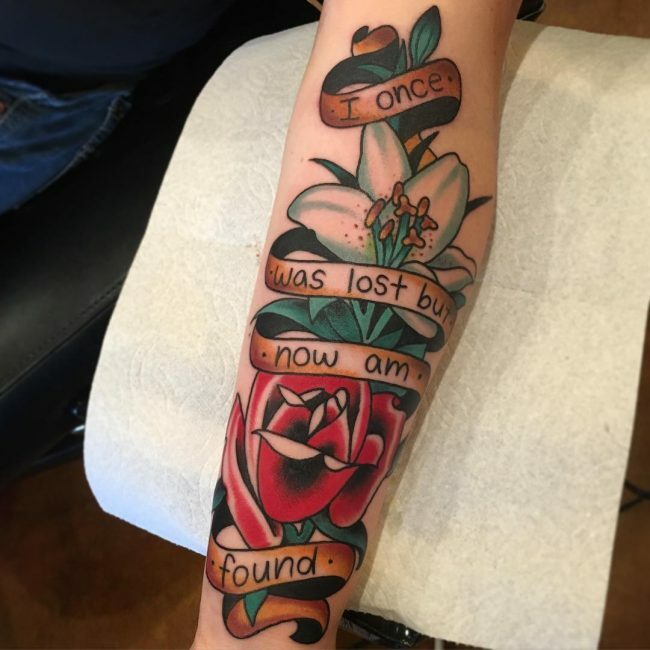 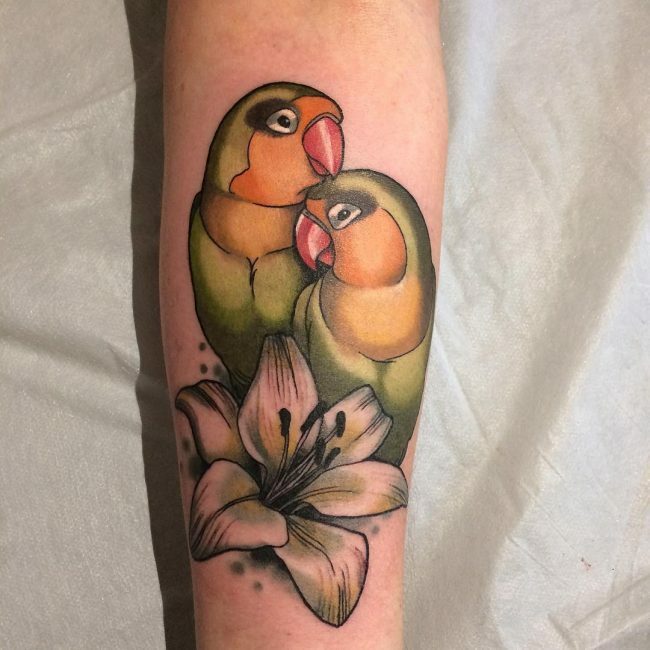 Hence, you would want to make sure that a lily tattoo design is something that you really like right know, and more importantly, in the future. 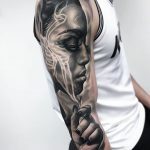 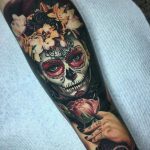 85 Incredible Full Sleeve Tattoo Ideas - Which One is Right For You?